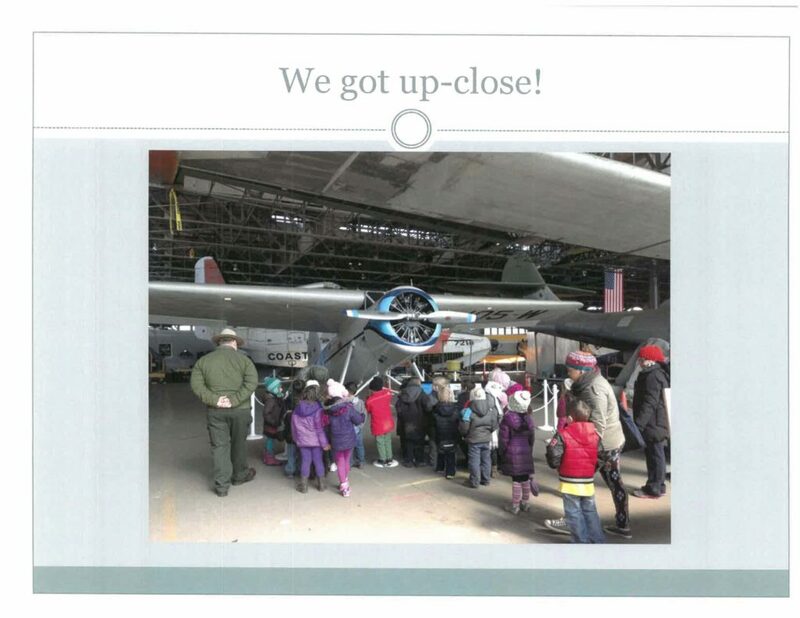 What happens when kindergarten children and second graders get together for Choice Time? Fun, fun, fun! 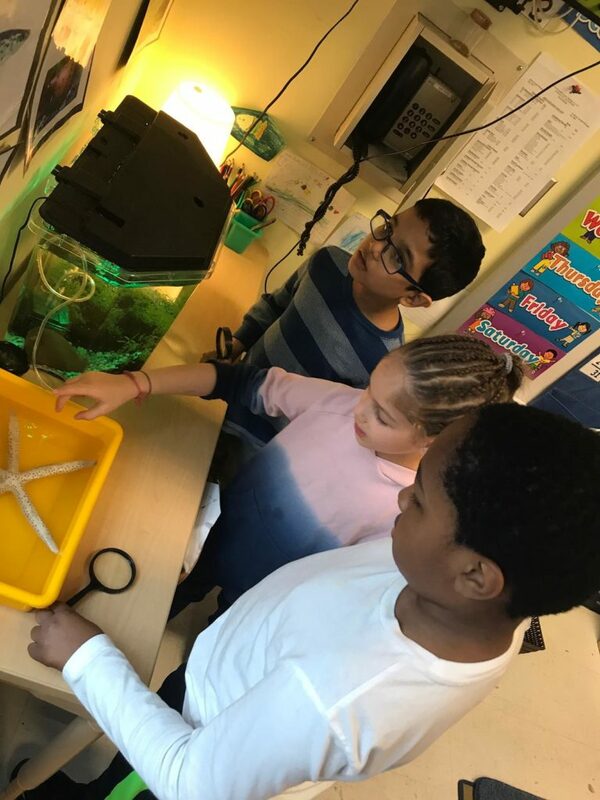 Fanny Roman and Angela Valco have been collaborating on inquiry studies together and they decided to see what would happen when their children got together for Choice Time. They both had a lot of TRUST in their children and had given them many experiences to engage in INQUIRY, COLLABORATION and EXPLORATION so it’s not a surprise that this was a very successful interage Choice Time! 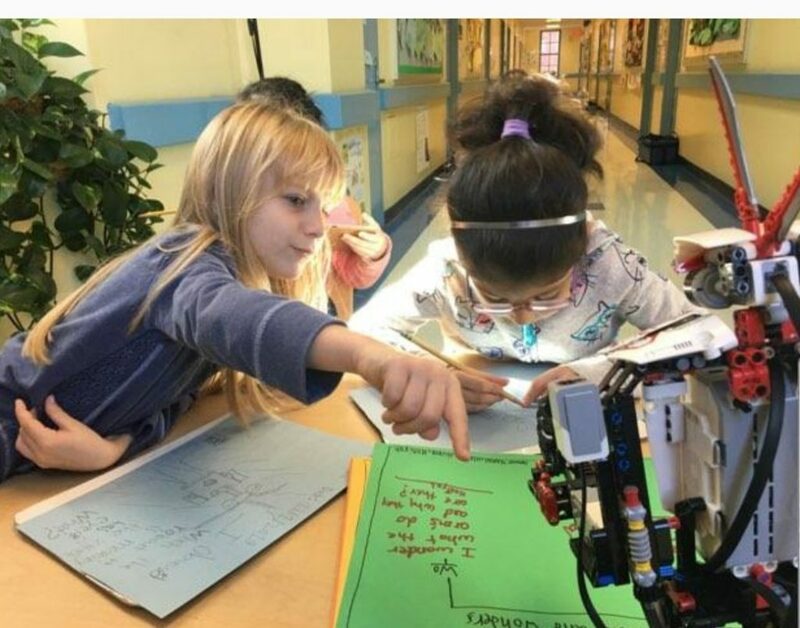 Take a peek into the classroom to see the children building the tracks for the robot, working in the art center, playing games, and cleaning the guinea pig home. Would you like to learn more about Choice Time? 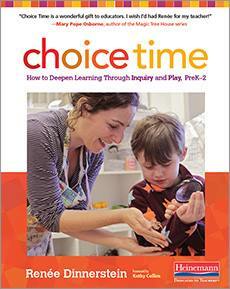 My book, Choice Time: How to Deepen Learning Through Inquiry and Play might be a helpful guide. 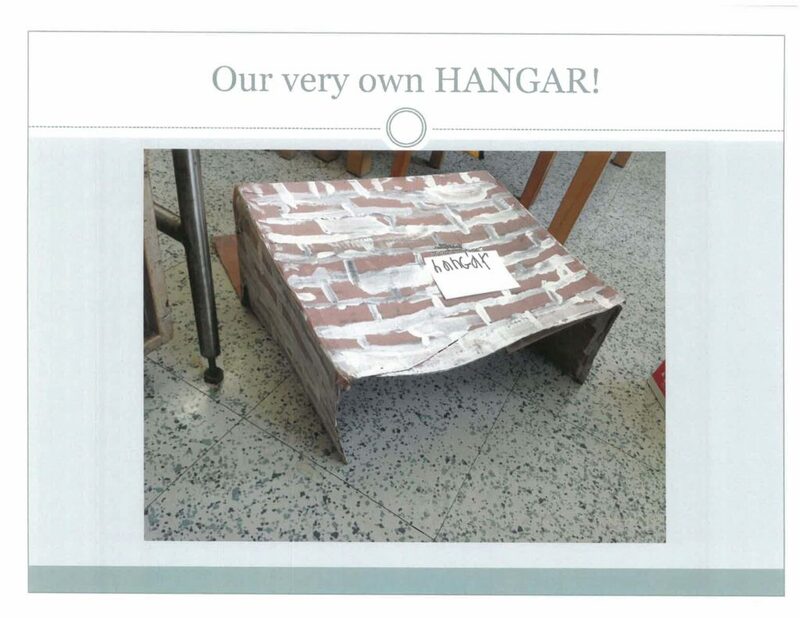 This entry was posted in Investigating Choice Time: Inquiry, Exploration, and Play and tagged Angela Valco, Choice Time, collaboration, exploration, Fanny Roman, inquiry, Reflection Journals on March 25, 2019 by Renee. My mantra to to early childhood educators has been to begin with the children. 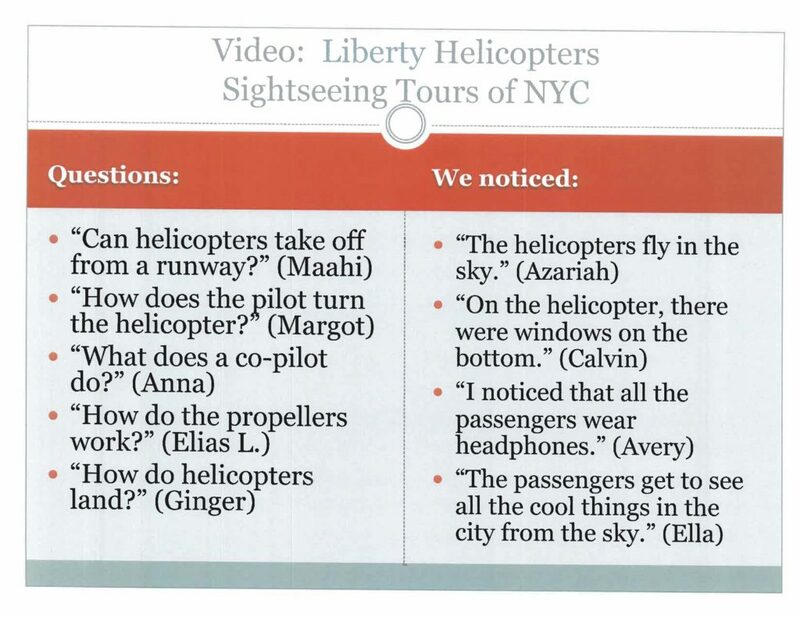 I’d like to share with you an example of how a teacher listened to his students and allowed their interests to lead the way to an inquiry investigation that naturally included math, science, literacy and higher order thinking. 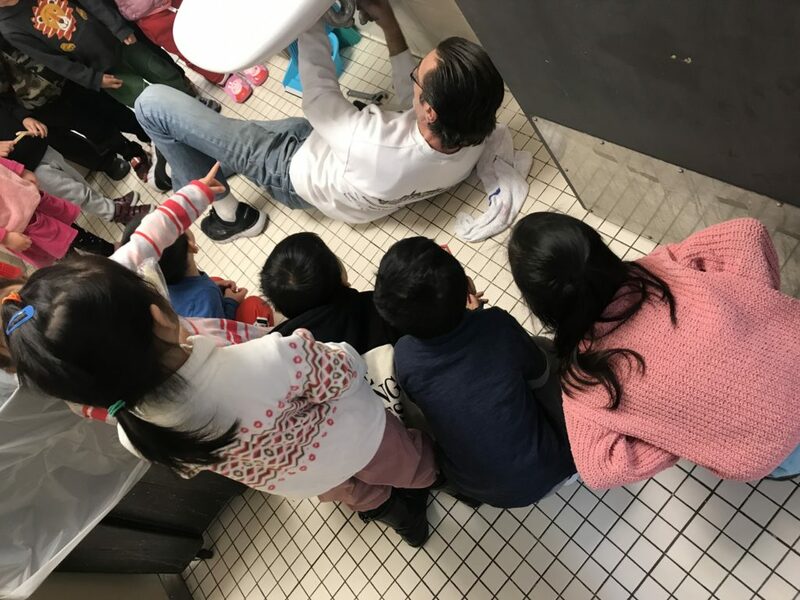 How can the problem of a leaking sink lead to a fascinating prekindergarten investigation? Andy Yung, the prek teacher at P.S. 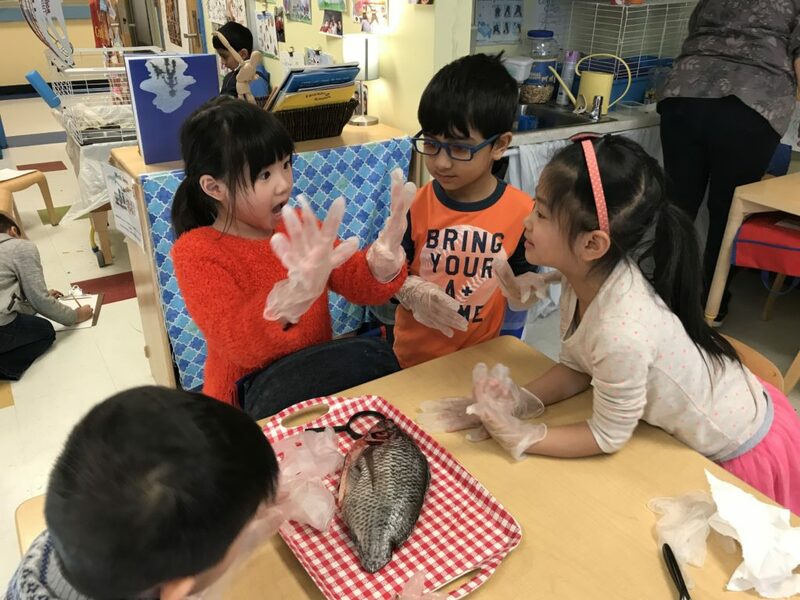 244 in Flushing, New York, with the support of his principal, Robert Groff, and assistant principal, Tu Harris, helped lead children into this investigation through their observations and their many wonderings. 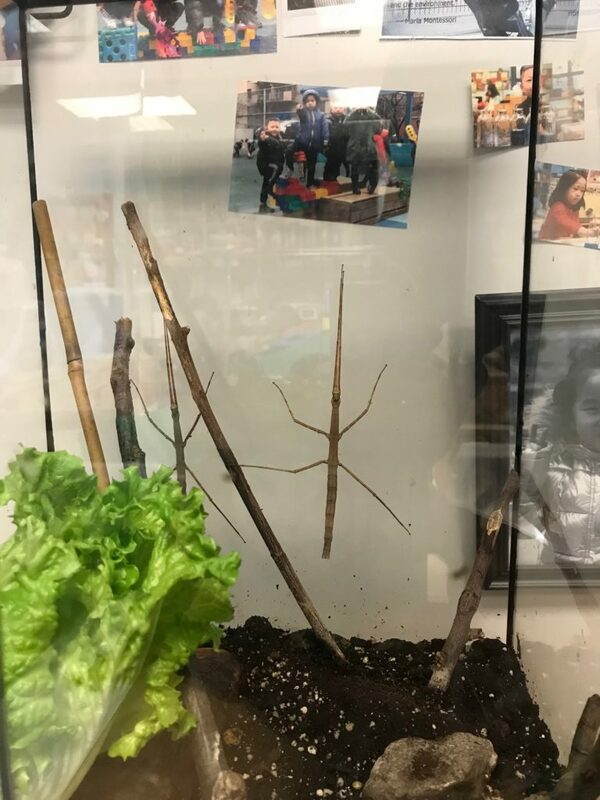 Brandon noted that the class Walking Sticks insects needed water to live. 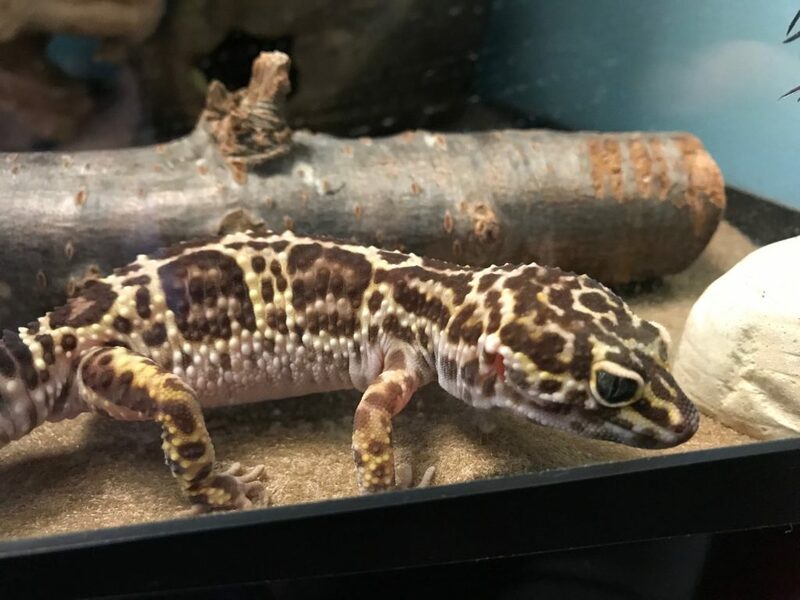 Harsh observed that Tails, the leopard gecko, had a water dish in her tank. 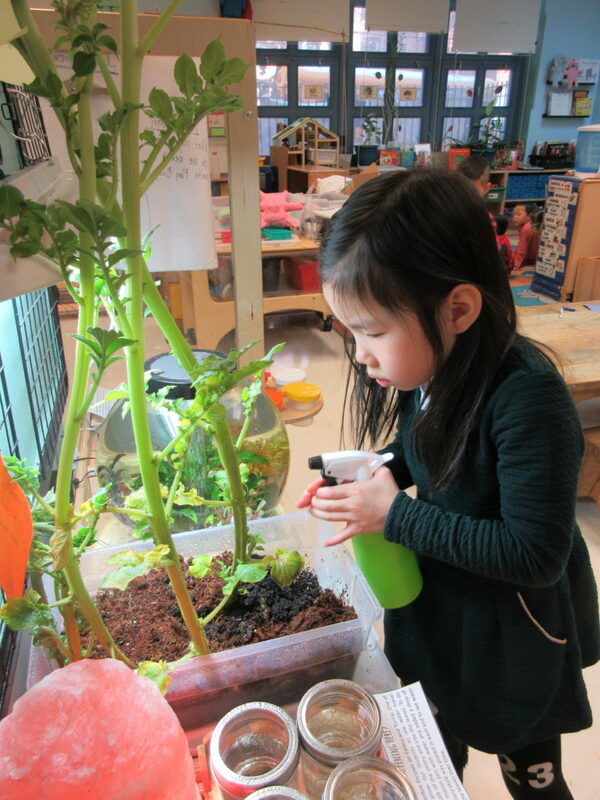 Raina noticed that the class fish lives in water and and Jonathan said the the plant-helper waters the plant every day. One day, Raina’s mother visited to show the class a video of Raina doing her chores at home. 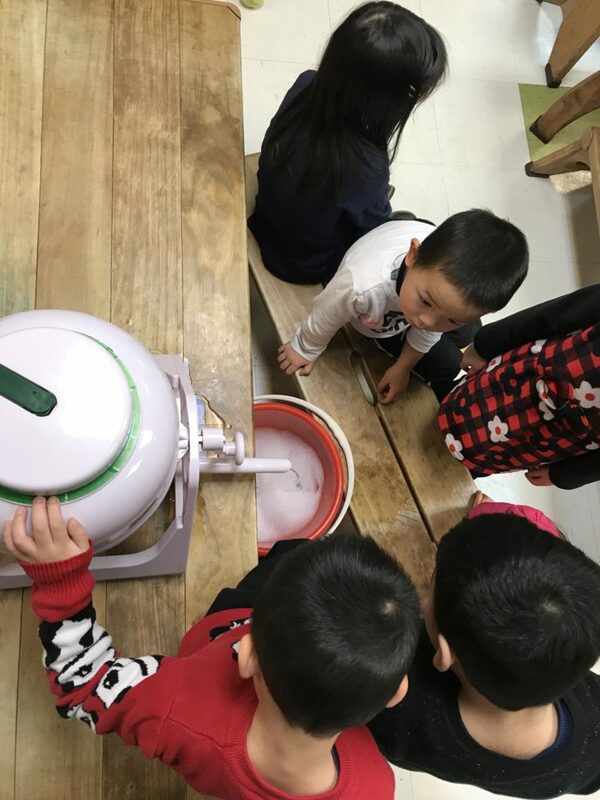 The children decided that they should have the chore of washing dishes too, so the water table became a place to wash the dishes from their Pretend center. Andy is almost a poster boy for donorschoose.org, a wonderful site that encourages teachers to write small, classroom grant proposals and share these with the public so that people can make contributions to help get materials into classrooms. What fun it is to see water squeezed out as a spinner is turned around and around. 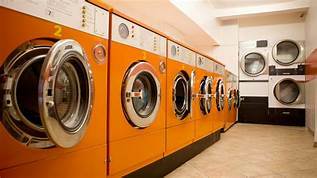 He also purchased a hand-powered washing machine! A class trip to the laundromat it being planned. Bubbles were fun to blow outdoors too. 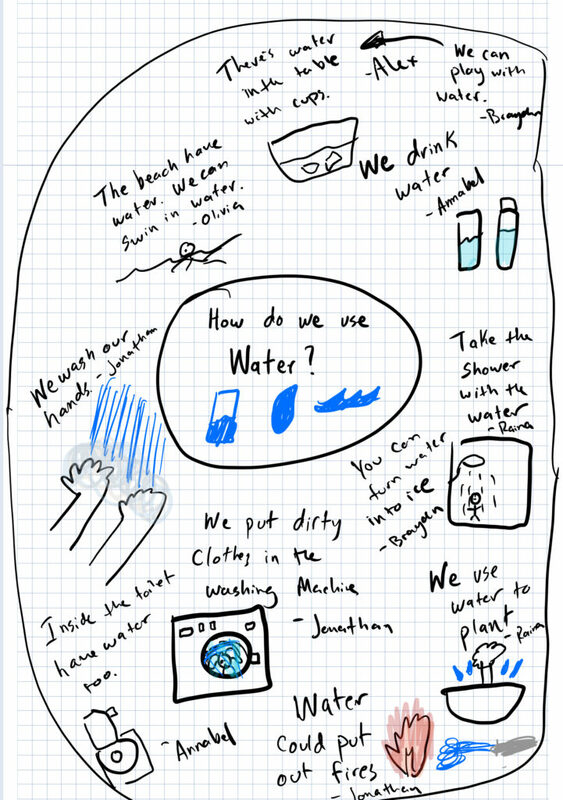 Here’s some other ways of exploring water that has been taking place. Then the bridges moved indoors into the block center. 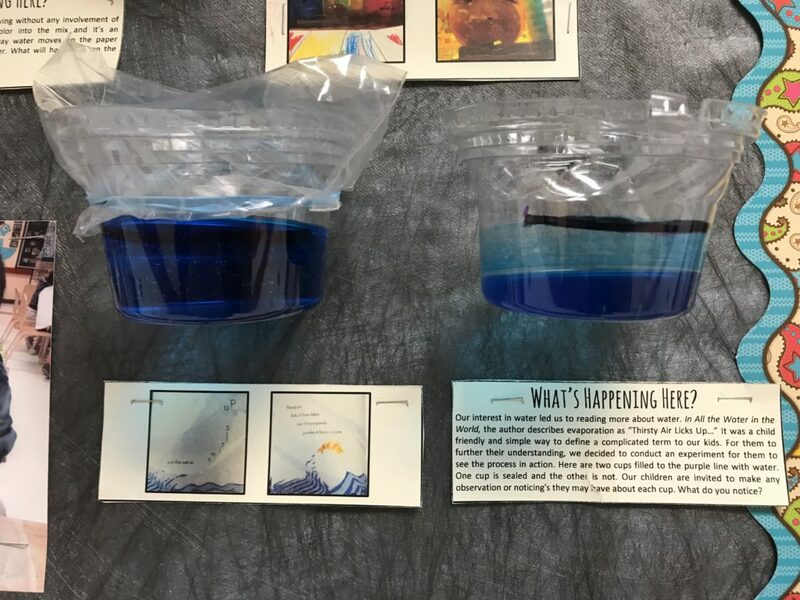 Andy read many books to the children and some of them inspired more inquiry into what happens when water mixes with other materials, when it freezes and when it evaporates. A lot of new vocabulary was incorporated into daily discussions. 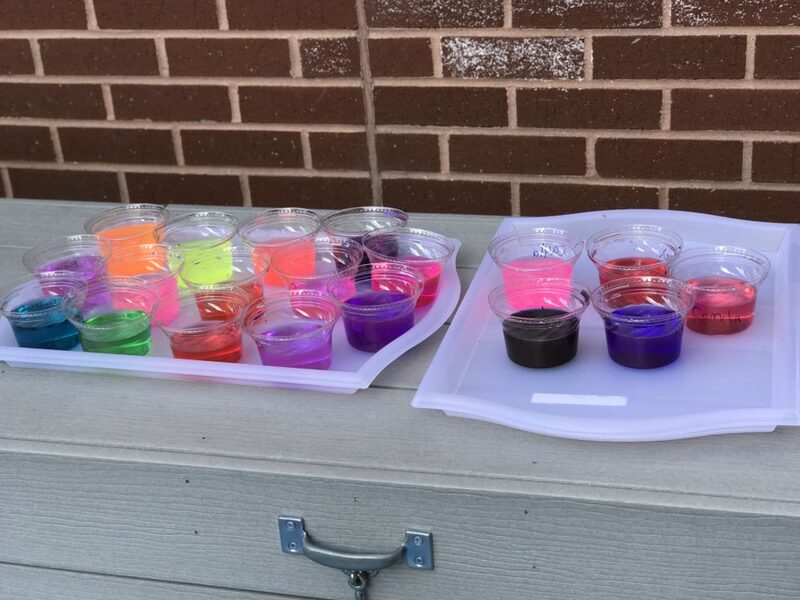 The children conducted water experiments. 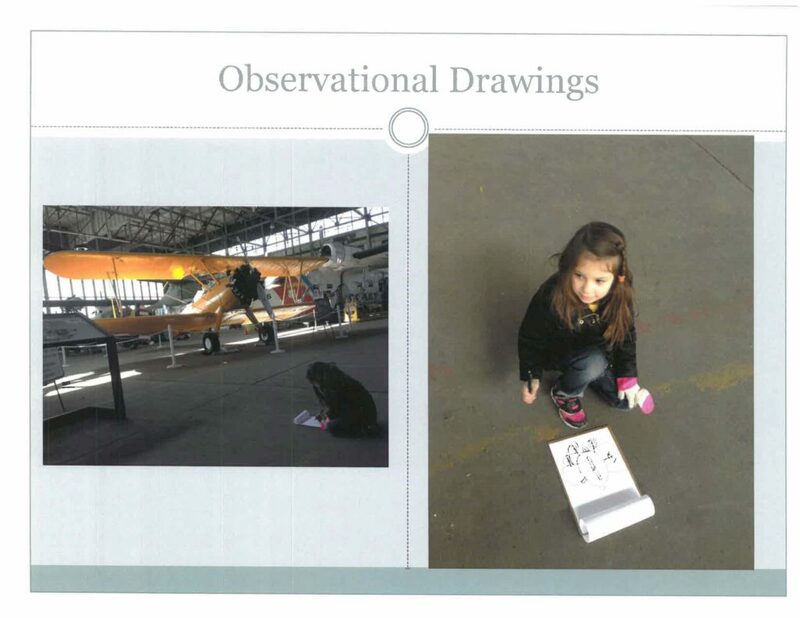 They used drawings to record the steps in their experiments. The plumber came to fix the sink and this provoked a new interest in tools. Will this lead to a take-apart center? I’m sure that Andy, an observant and sensitive teacher, will follow the lead of his children! 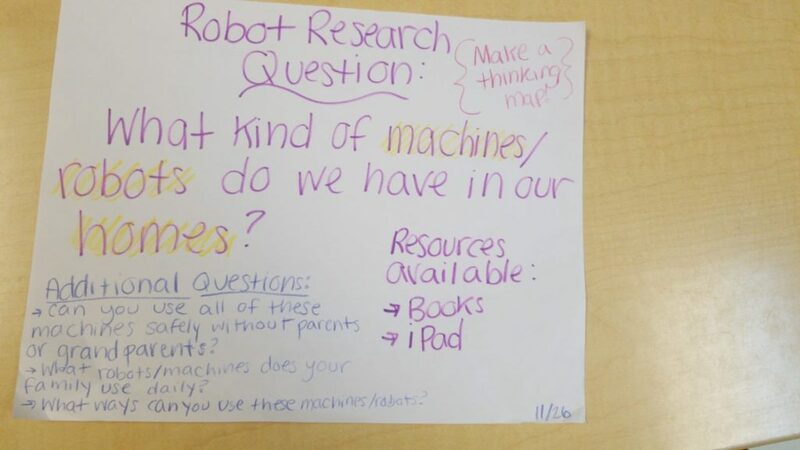 This entry was posted in Investigating Choice Time: Inquiry, Exploration, and Play and tagged Andy Yung, donorschoose.org, higher-order thinking, inquiry, P.S. 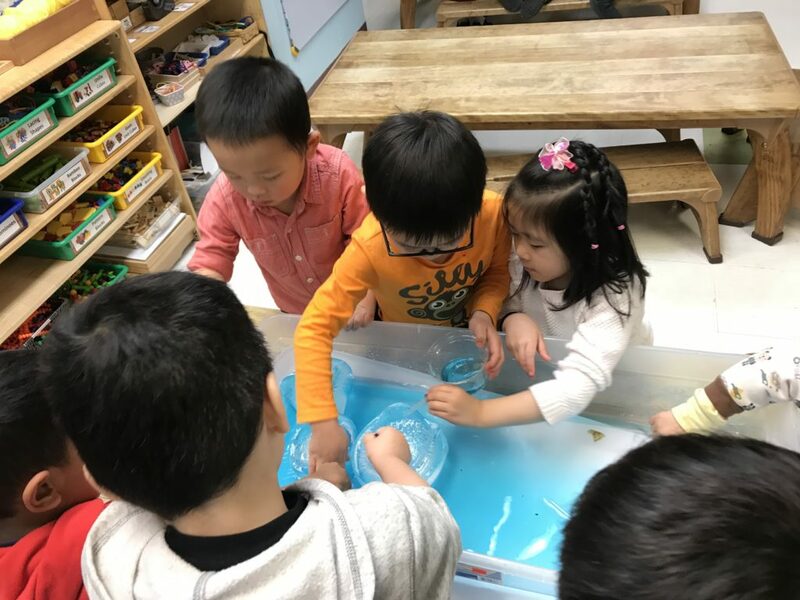 244, prekindergarten, water study on February 26, 2019 by Renee. Journeys have recently been on my mind. Perhaps it’s the onset of winter that is provoking my journey daydreams. More likely, though, it’s the observations that I’ve been making on days when I’m consulting at P.S. 244 in Flushing, New York. 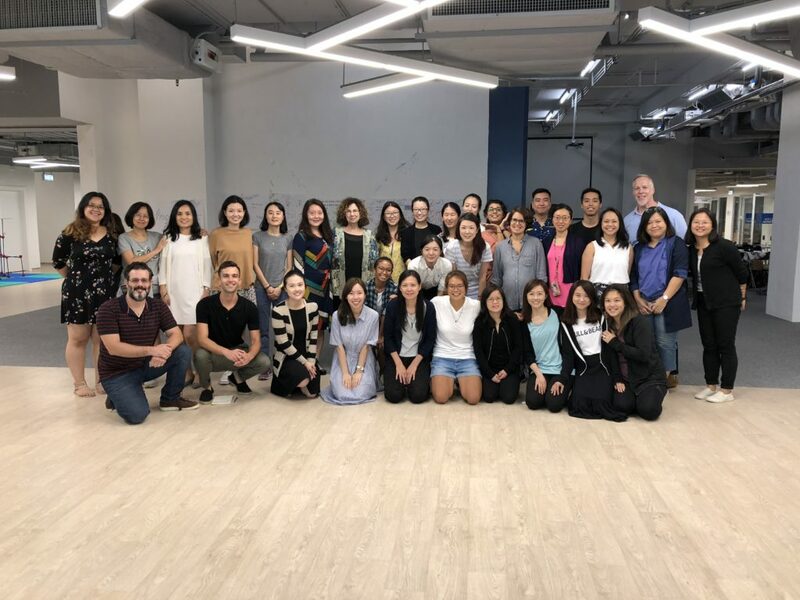 The fascinating journey that Angela Valco has been taking, along with her class of mostly English Language Learner second graders, is what I’d like to share here. 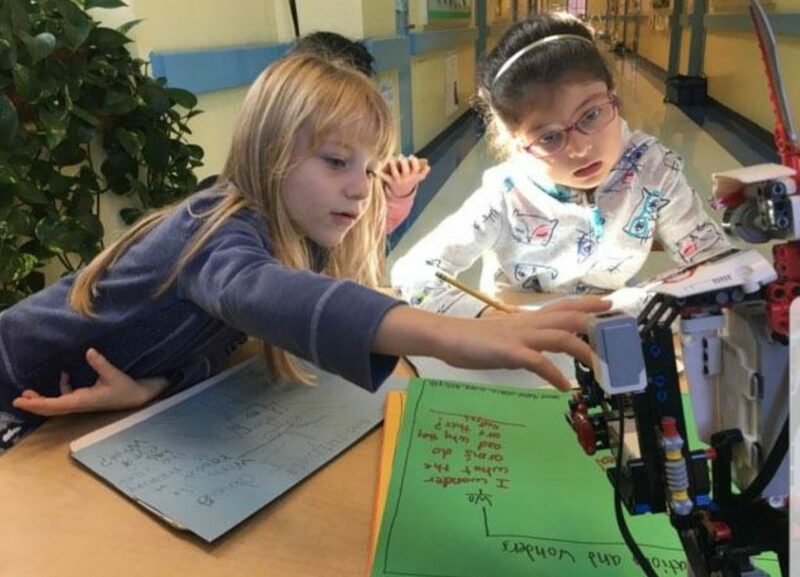 Since last month, they have embarked on a very unexpected and child-initiated exploration, prompted by their interest in computers and robots. Let’s consider some aspects of going on personal journey, one that we might look forward to during our vacation from work. Of course we first must get the idea for the trip. What is it that sparks our interest in visiting a city or going on a climbing expedition? A trip might be inspired by discussions with friends who have taken this journey, an article in the newspaper or even a movie that we’ve seen. After making the decision to take this trip, we do some initial planning. Perhaps we consider what we already know about the place we want to visit. We might contact friends who have already been there to get additional ideas from them. 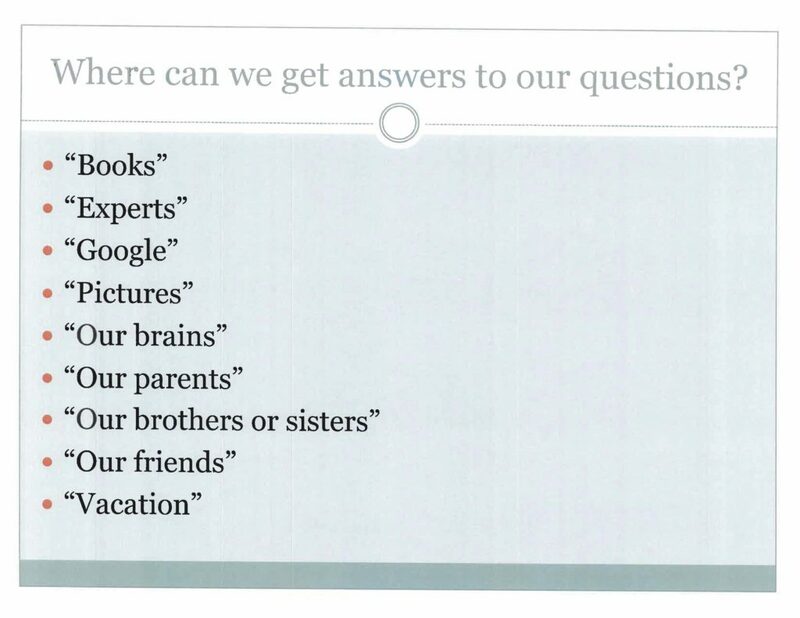 We could jot down some ideas about what we might want to see on the trip and get new information by using a Google search. Then we plan our itinerary, book a flight and reserve hotel rooms. We’re ready for new experiences and discoveries! There are some places we know that we MUST visit but we also realize that we can get “off track” when something really interesting comes up. By keeping a diary we can keep track of our thoughts along the way and reflect on our experiences when we return home. After the trip, we might invite friends or family over so that we can share our photos and talk about our marvelous journey. 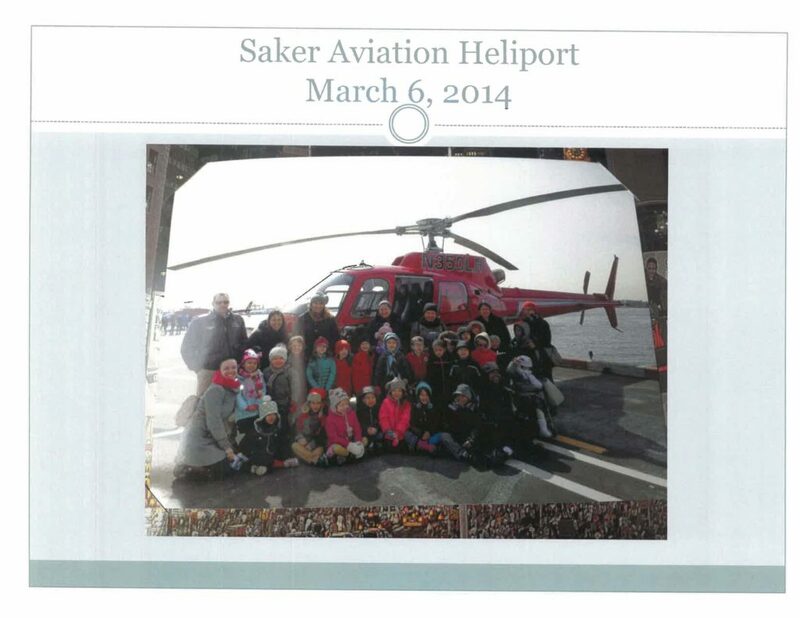 Angela and her class went on a journey – one of discovery and learning. This class journey followed very much the same trajectory as a trip that you or I might take on our vacation. 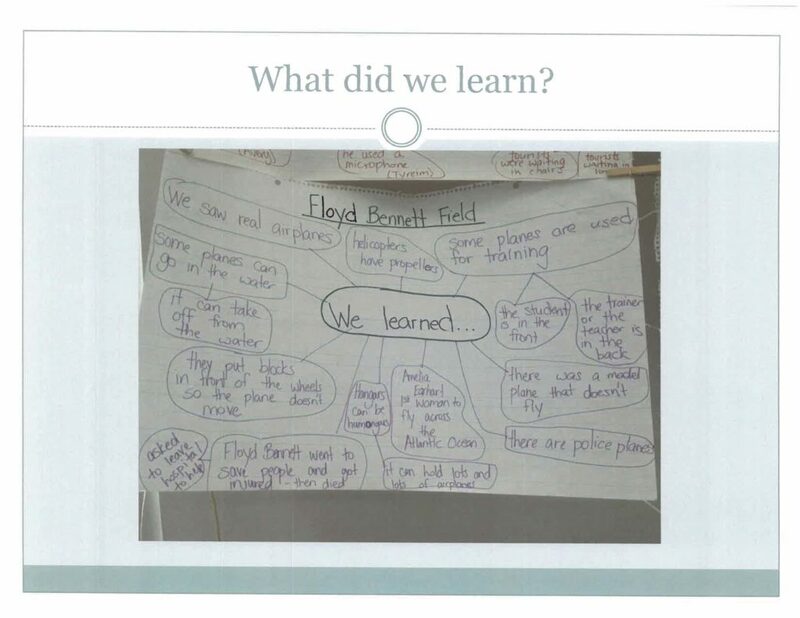 It first began when Angela listened to her children as they worked and played and recorded her observations. 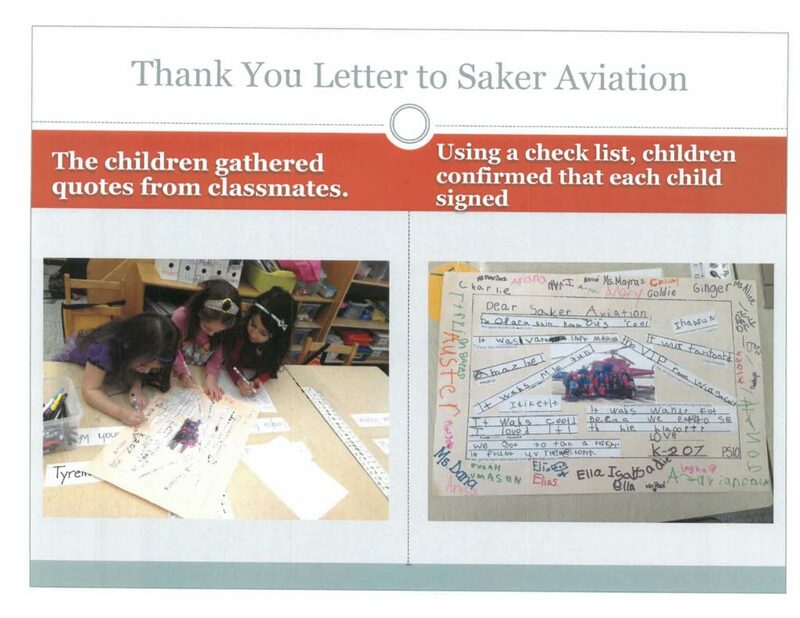 At class meetings she brought to the children’s attention some of what she heard from them and this information provoked a class discussion focused on their interests. 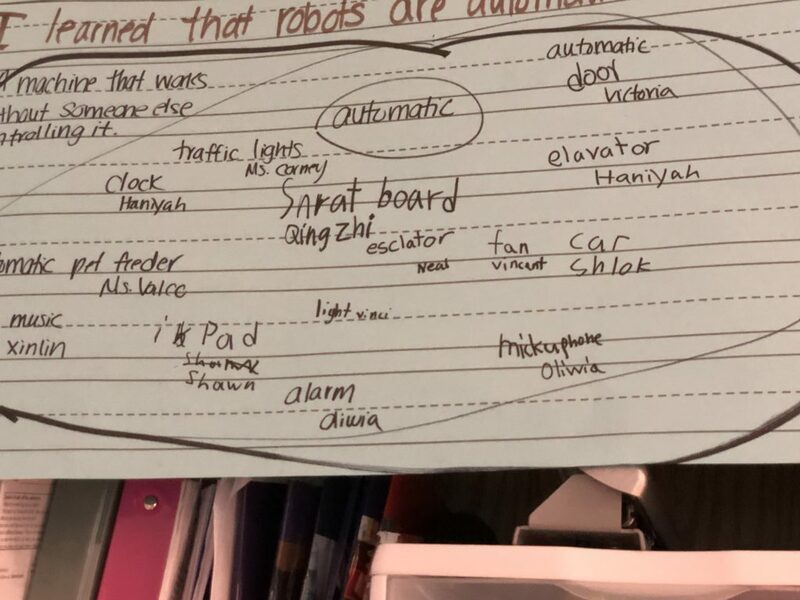 Since the major interest was on robots, together, they created a thinking map, showing what they already knew about robots and what they wanted to find out. 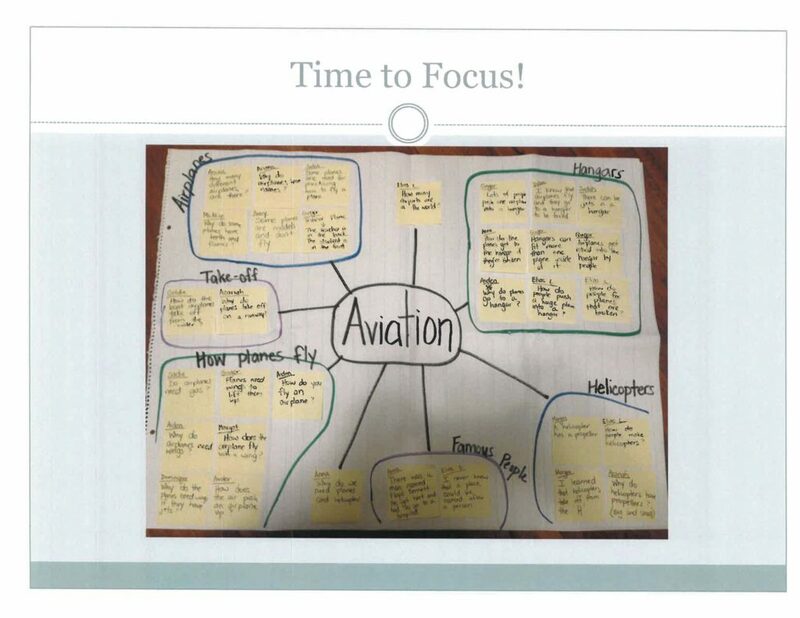 Angela began planning by thinking about questions children might have, materials she might need, possible trips, etc. Then she began brainstorming with the children to see what they already knew. The children also helped to plan for Choice Time by sharing their suggestions for different centers. Just as our trip wanderings sometimes stay on track and other times take detours in unexpected directions, some Choice Time experiences connect to the robot investigation and others give children opportunities for exploring a variety of interests such as a sewing center and a Build-a Story center where children built a story with Legos, wrote about their story and shared it with the class. 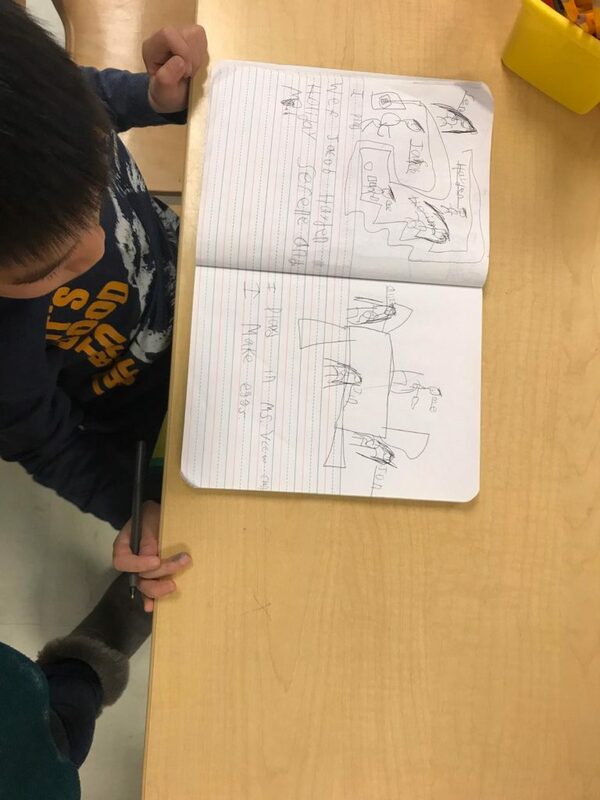 He is building a story and writing about it. Angela noticed that this was a wonderful center for her English Language Learners. Wondering about what allows the keyboard to work. Checking it out by looking inside the keyboard. Using an IPad to get directions for constructing a robot. Building a tent Sharing is an important part of project work. 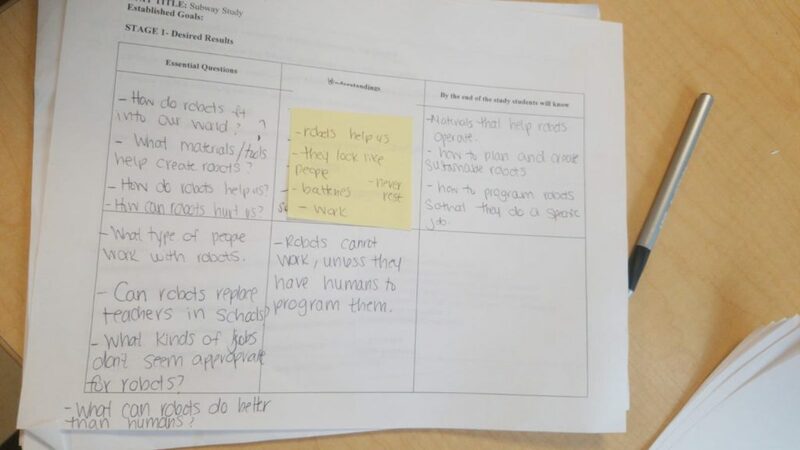 A few weeks into the robot study, I encouraged Angela to ask the children if they could think of ways to use classroom resources to further their robot investigations and also to demonstrate what they already know. This will be a class discussion when the children return from the holiday break. 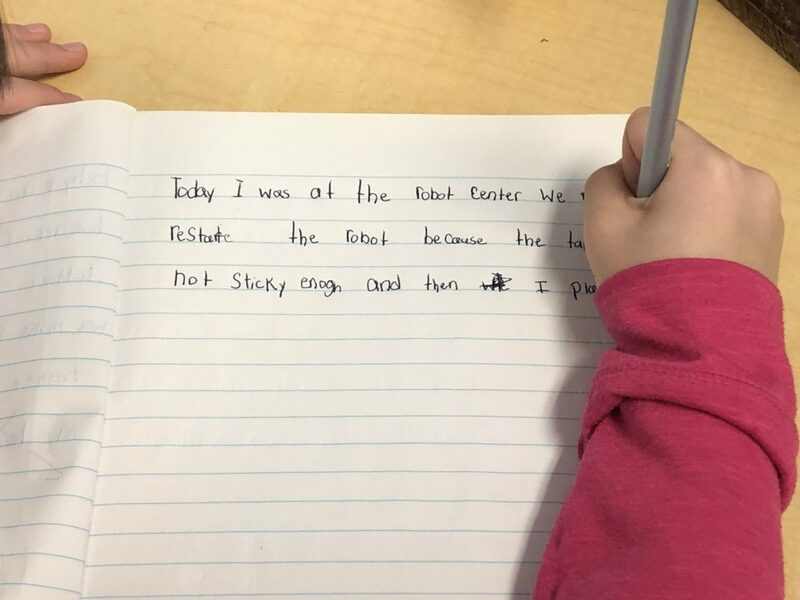 Similar to our trip diaries, the children write in their reflection journals after each Choice Time. Some children share journals each day, inviting their classmates to ask questions and make comments. 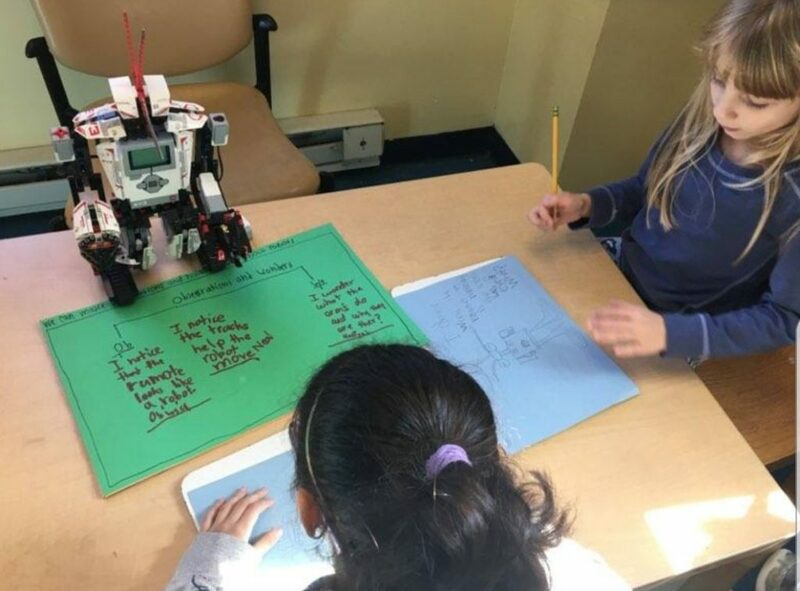 One day I visited the class during their meeting and I asked them if they thought that a robot would someday take the place of the classroom teacher. Angela told me that this idea opened up a “can of worms” and an intense discussion on this topic lasted for a few days. Perhaps this thought put the children a bit out of their comfort zone! This is still a study in progress. Where will it go? How much longer will it continue? Will it lead to another study, one of computers and coding? 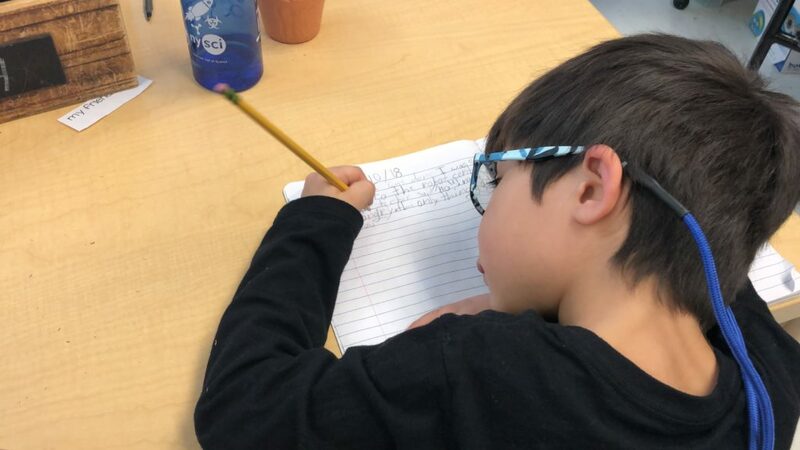 The answer is still to be discovered and I’ll most certainly share the progress of the journey that these second graders and their teacher are taking in a future blog post. 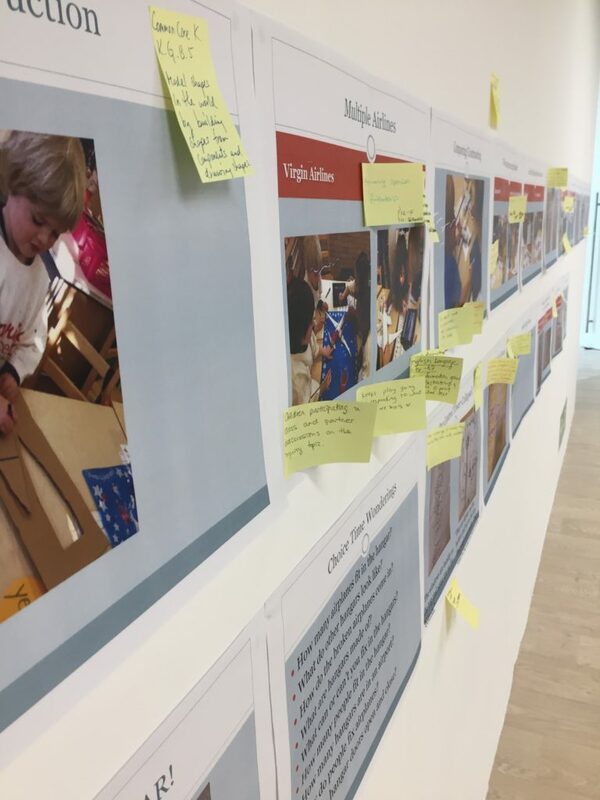 Isn’t it refreshing to know that the direction of the study isn’t all worked out and that it is the power of the children’s interests and questions that will lead the way? 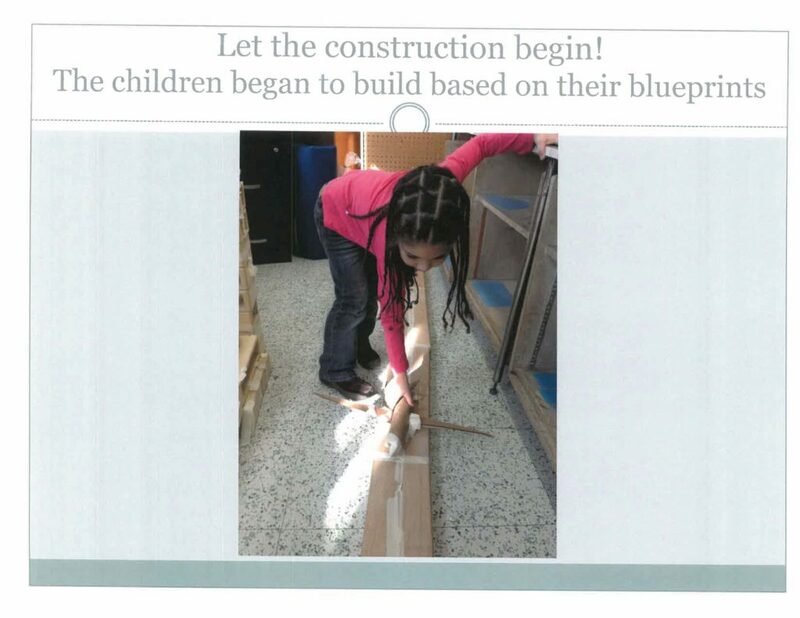 This entry was posted in Investigating Choice Time: Inquiry, Exploration, and Play and tagged Angela Valco, inquiry, P.S. 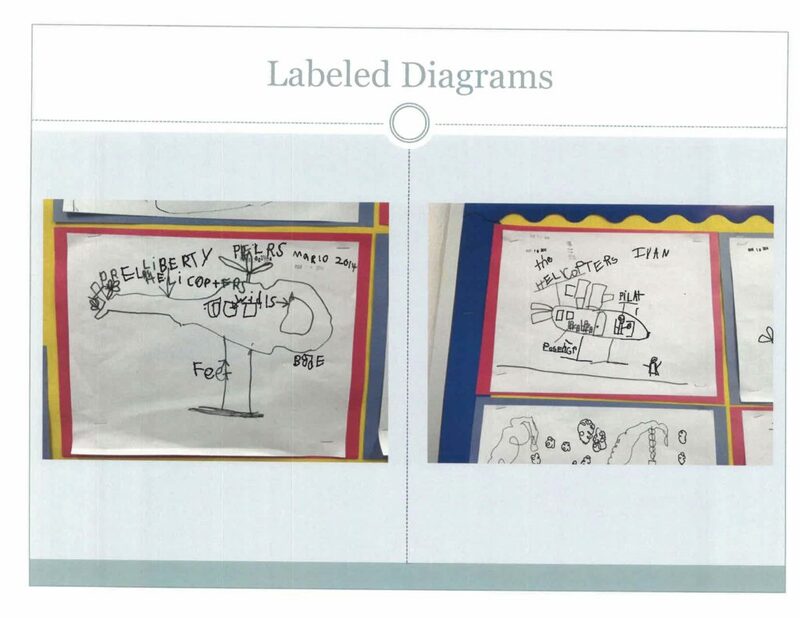 244, robots, second grade, thinking map on January 1, 2019 by Renee. What has been happening to kindergarten, all over the oountry, is an absolute travesty. I’ve complained about this often, on this blog, on Facebook, and in presentations to teachers and administrators. I recently watched this video produced by Defending the Early Years. I can’t say anything better than Jim St. Clair says it here. Listen, ponder, share, rage and, hopefully, think of how we can do something to return Kindergarten to the joyful place that it once was. 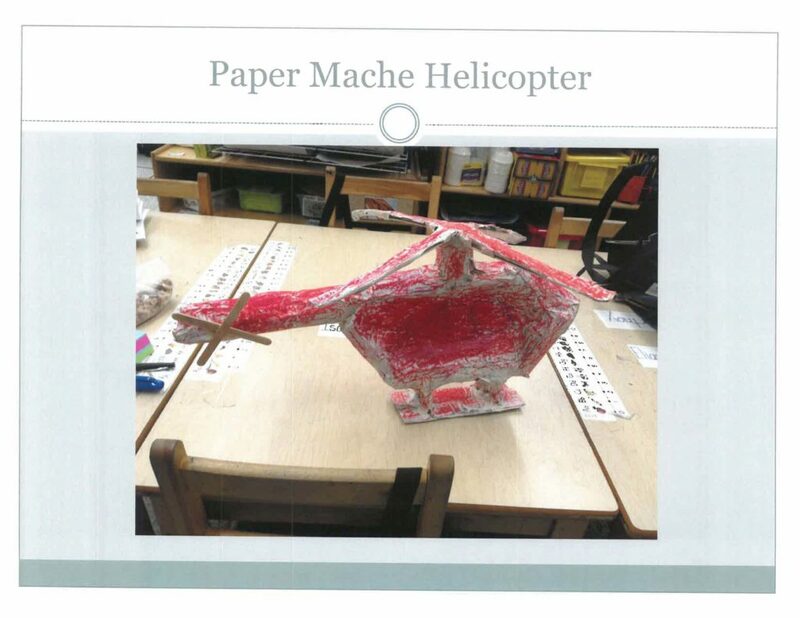 This entry was posted in Investigating Choice Time: Inquiry, Exploration, and Play on December 27, 2018 by Renee. Dana thought that she would do some preliminary exploring with her children. 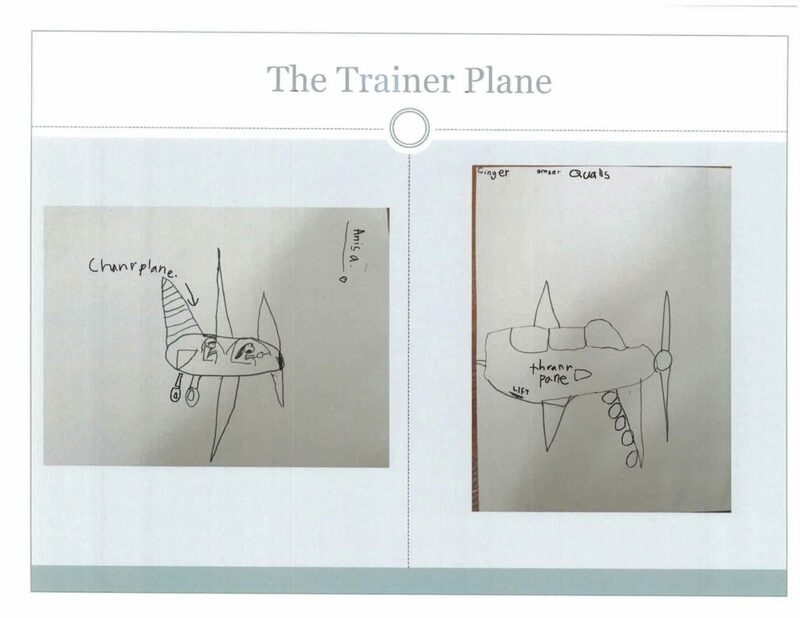 She started by inviting children to draw pictures of what they knew about airports and airplanes. The next day, instead of their regular “signing in,” Dana proposed a question to determine their past knowledge. We always build upon what children already know (schema theory) rather than introducing an exotic, unfamiliar exploration. 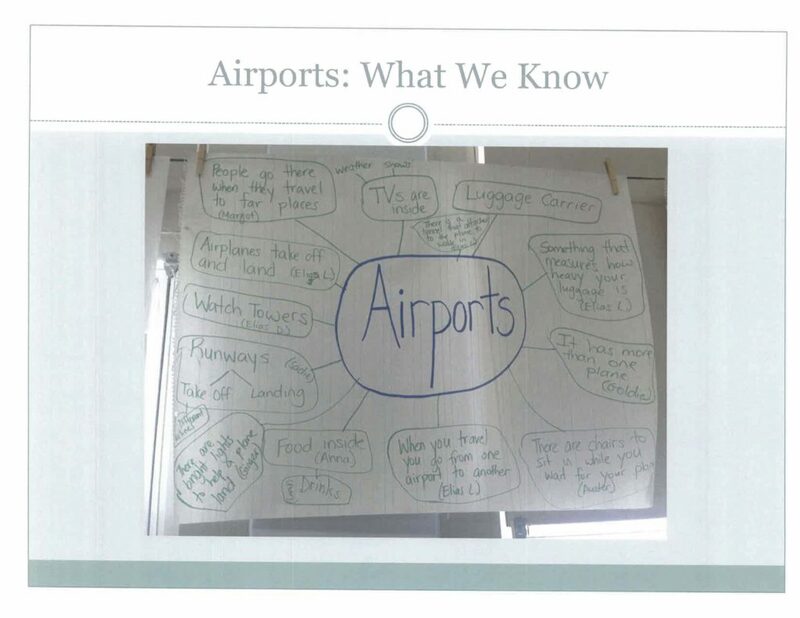 The children shared what they already knew about airports. 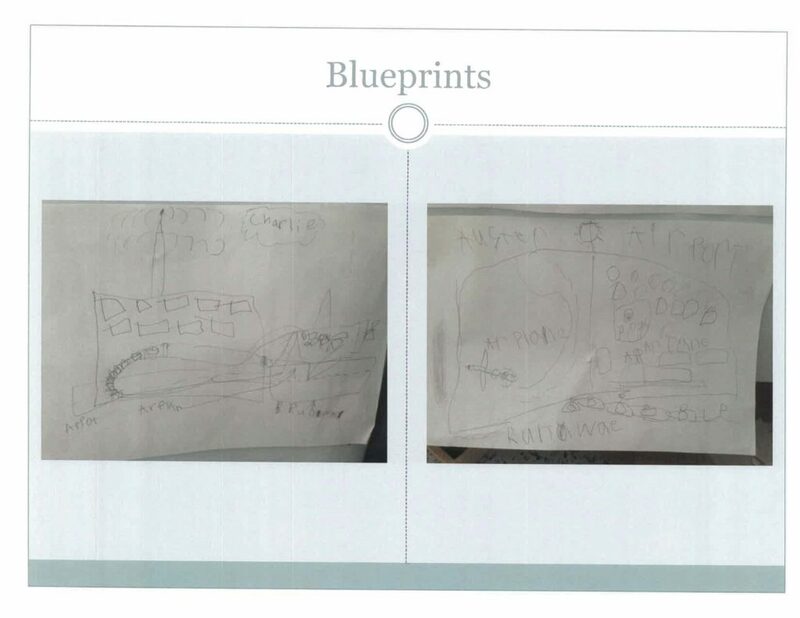 Then they went of, drew blueprints of how they thought an airport would look, based on their past experiences and they began building. 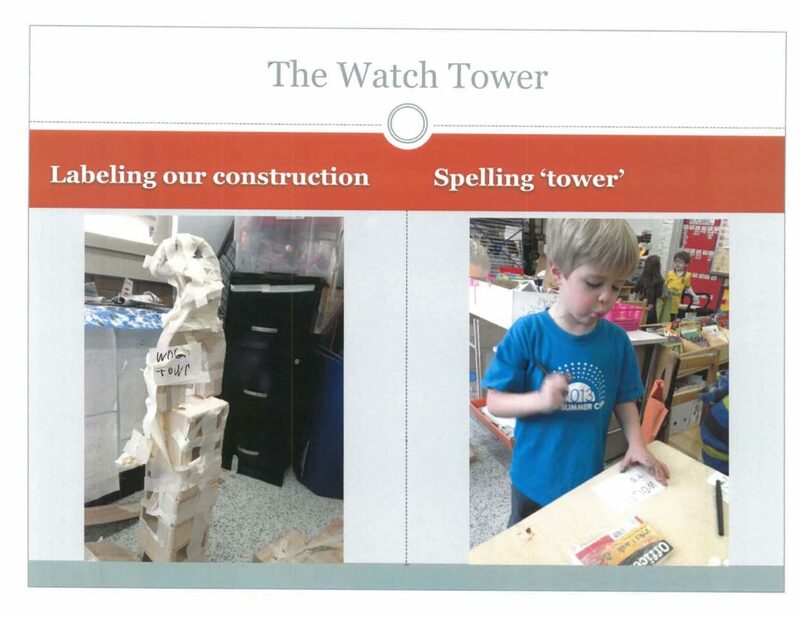 It took a lot of tape to hold up the tower and a lot of concentration to create the sign for it. 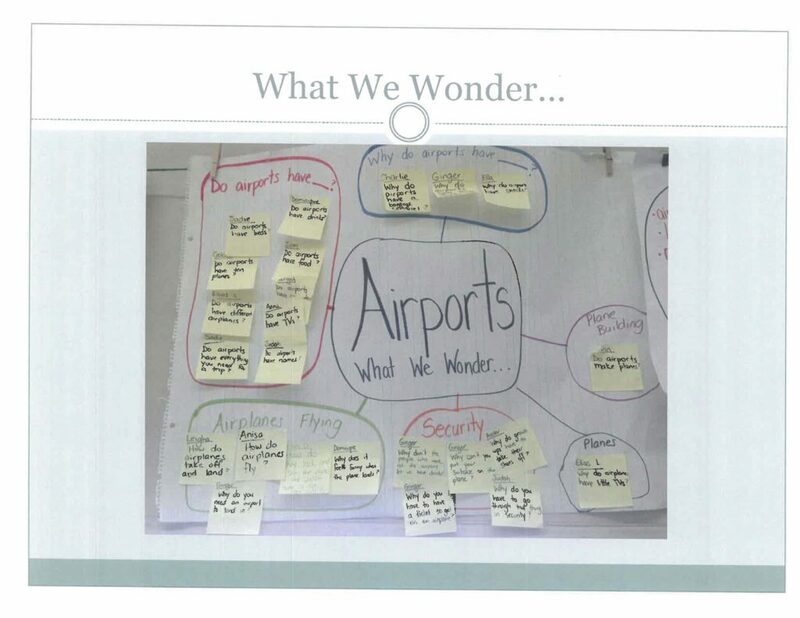 At class meeting, the children shared their “wonderings” and considered how and where they could find answers to their questions. 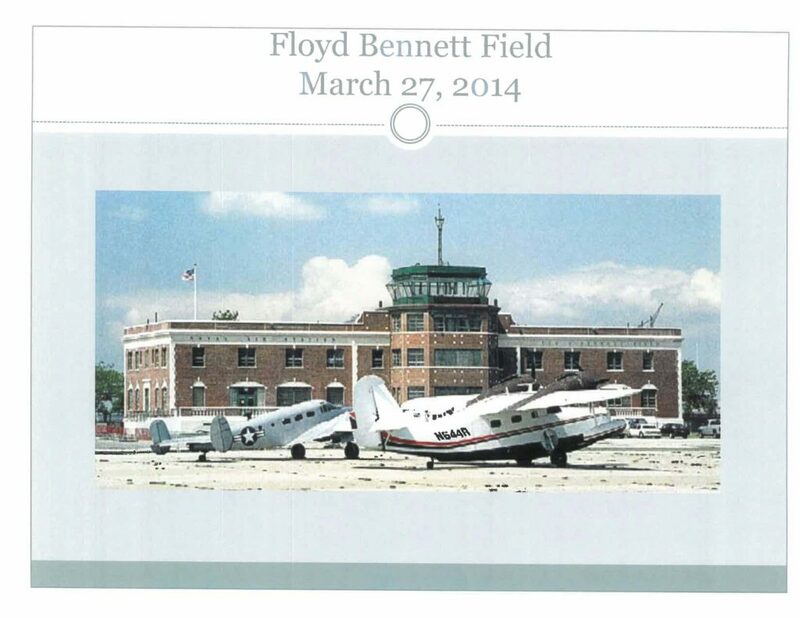 It seemed to be the time to culminate the investigation. SKIP AHEAD TO AUGUST, 2018. 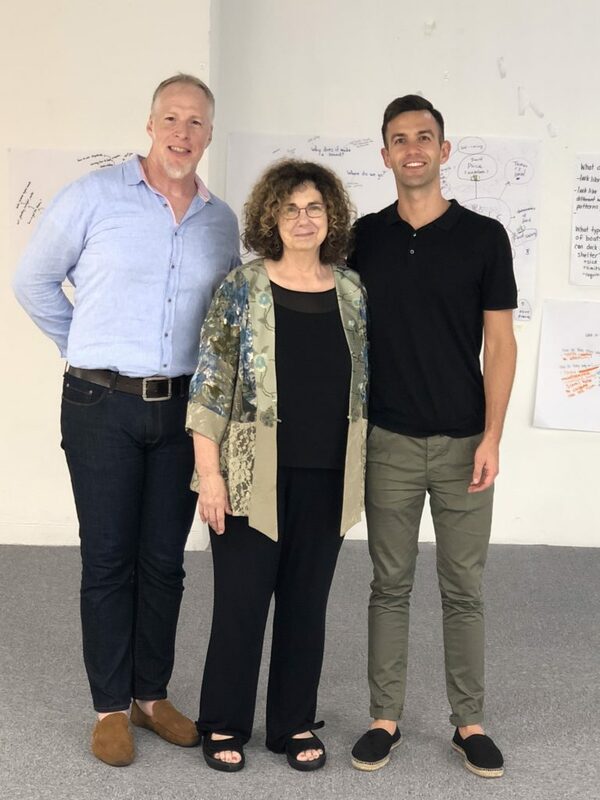 I WAS INVITED TO VISIT THE DALTON SCHOOL OF HONG KONG AND WORK WITH LARRY LEAVEN, NANCY DU, SHAuN PORTER, MATTHEW WHITE AND THE WONDERFUL TEACHING STAFF ON DEVELOPING INQUIRY-BASED CHOICE TIME AND CLASS INQUIRY PROJECTS. 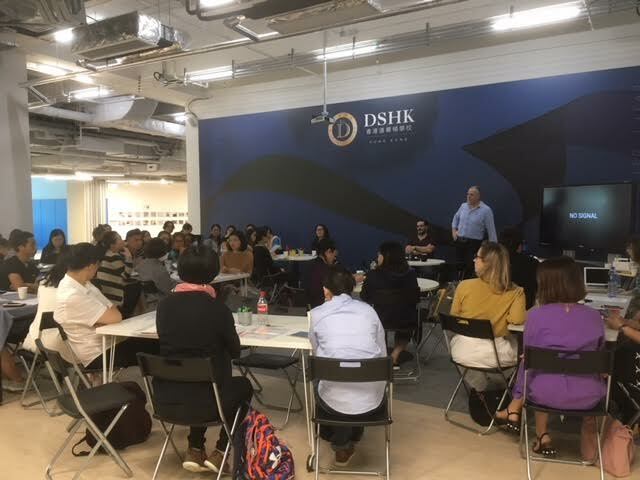 I shared Dana’s Aviation Study with the staff from Datlton School and with teachers and administrators from two other Hong Kong school. 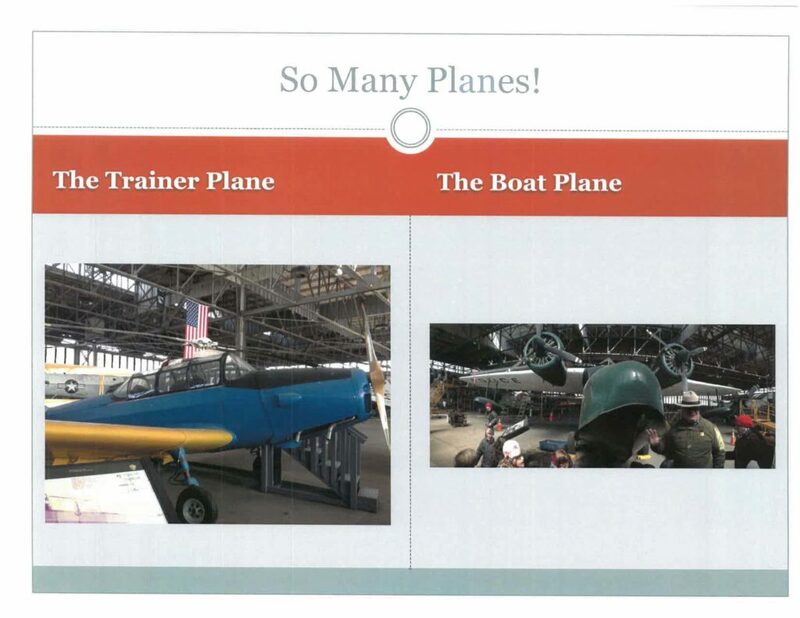 First I projected the PowerPoint and we discussed different aspects of the study. 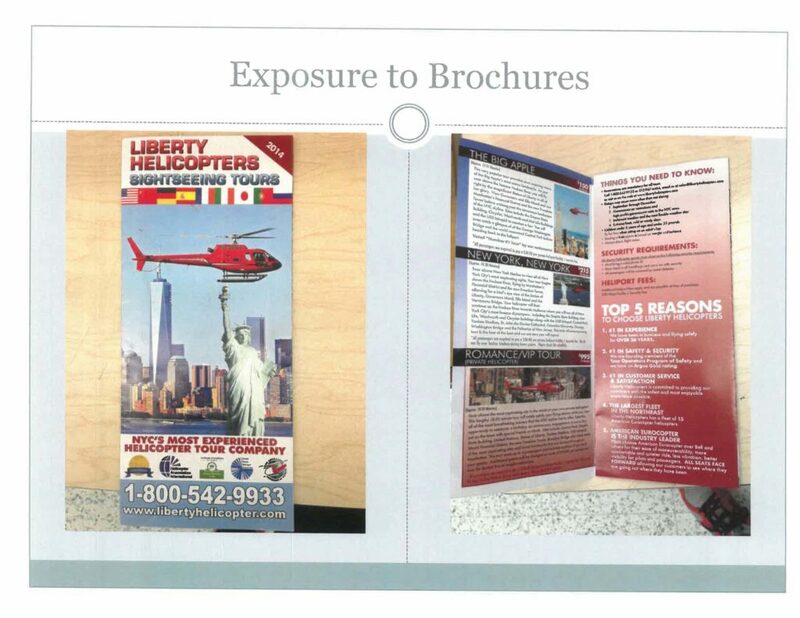 Larry posted a photo of each page of the study on a wall adjacent to the presentation as a long time line or frieze. We invited the teachers to look at the study again along with copies of their teaching standards. 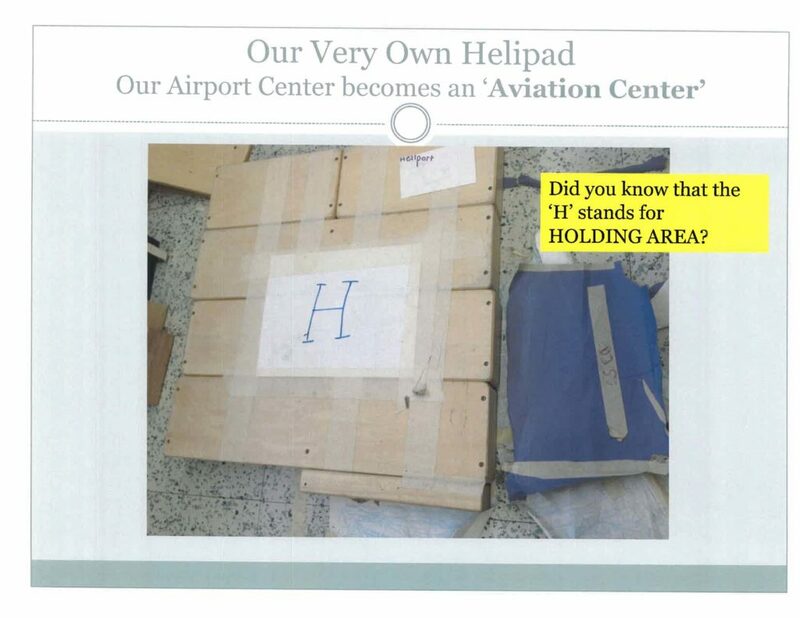 When they saw an instance of a particular standard being addressed, they were asked to write a note on a post-it and stick it on the picture. The discussion after this activity was lively, intense and illuminating. 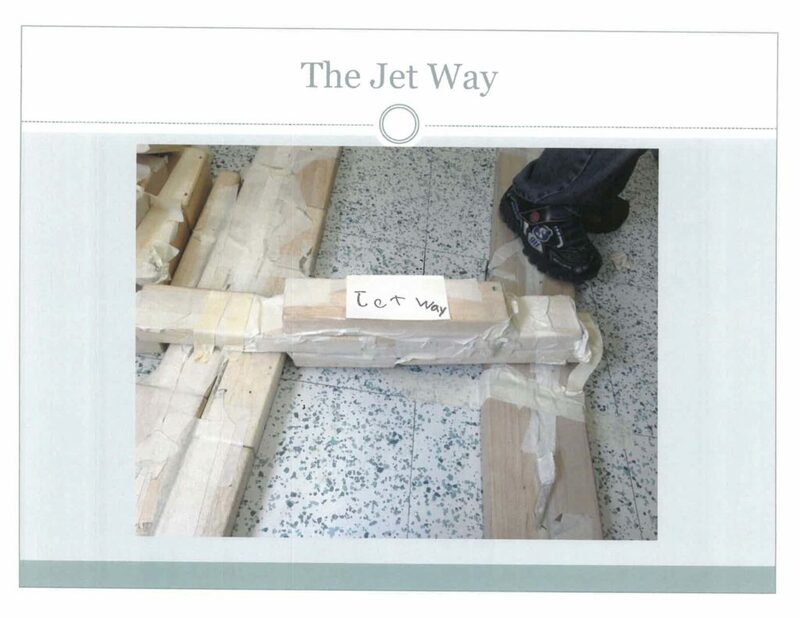 The gist of the discourse was that we DON’T begin with the standards when planning a long-term investigation. If we listen to children, value their knowledge and encourage questioning and investigating in many different modalities, then the standards will ultimately be covered, but in a more exciting and meaningful way than if we prepare a study that is pre-planned based on the teaching standards. 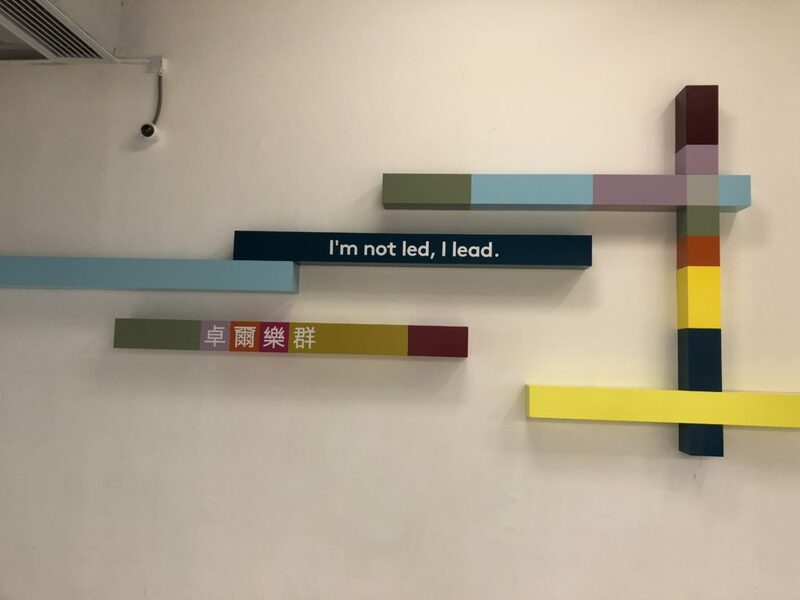 At the entrance to the Hong Kong Dalton School, there’s a plaque with the quote, “I’m not led. I lead.” That’s the important mantra to remember. 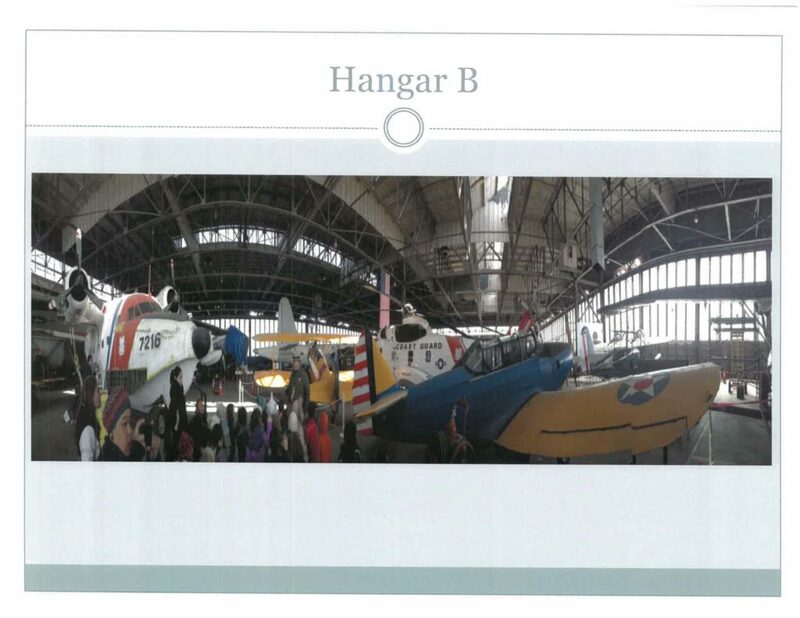 This entry was posted in Investigating Choice Time: Inquiry, Exploration, and Play and tagged Airport Center, anticipatory web, appropriate topics, culminating event, Dalton School of Hong Kong, Dana Roth, Floyd Bennett Field, Hangar, helipad, I'm not led. 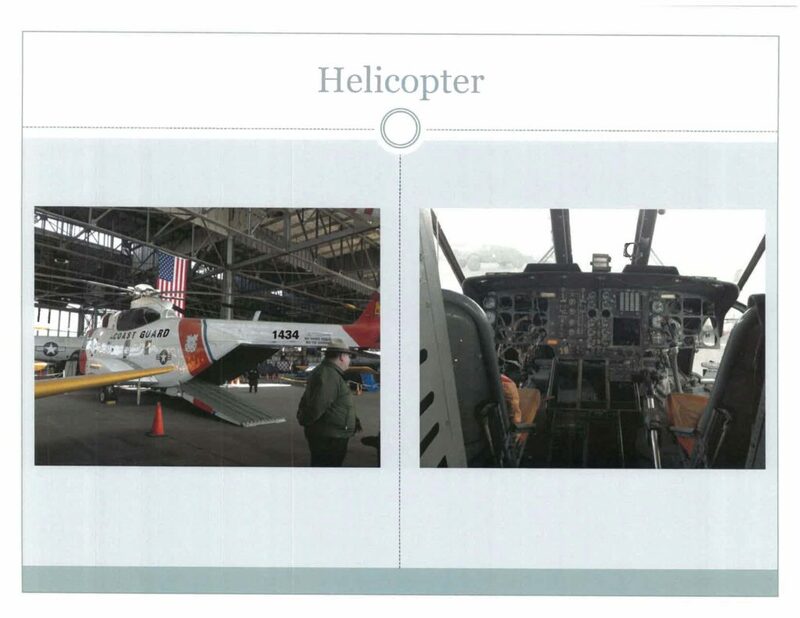 I lead, informational writing, Larry Leaven, Liberty Helicopters Sightseeing Tours of NYC, Matthew White, Nancy Du, observatonal drawings, P.S. 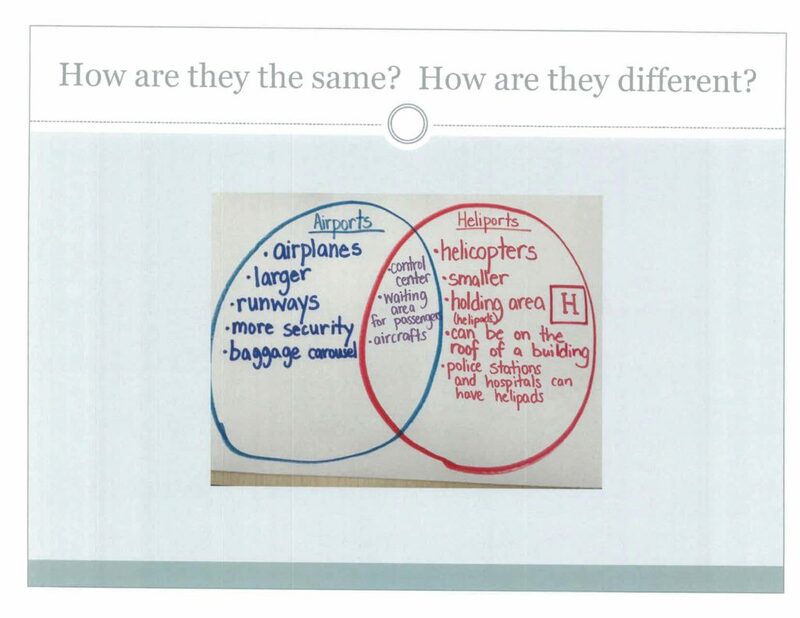 10, Ryan Visitor Center, Saker Aviation Heliport, Shaun Porter, Teaching Kindergarten: Learning-Centered Classrooms for the 21st Century, Venn diagram, What We Know, What We Wonder on September 5, 2018 by Renee. Join us for the third annual Come Learn with Us conference. This two-day event will feature full- and half-day learning opportunities for early childhood educators. The conference is timed to reinvigorate, inspire, and challenge educators just before they go back for the start of the school year. 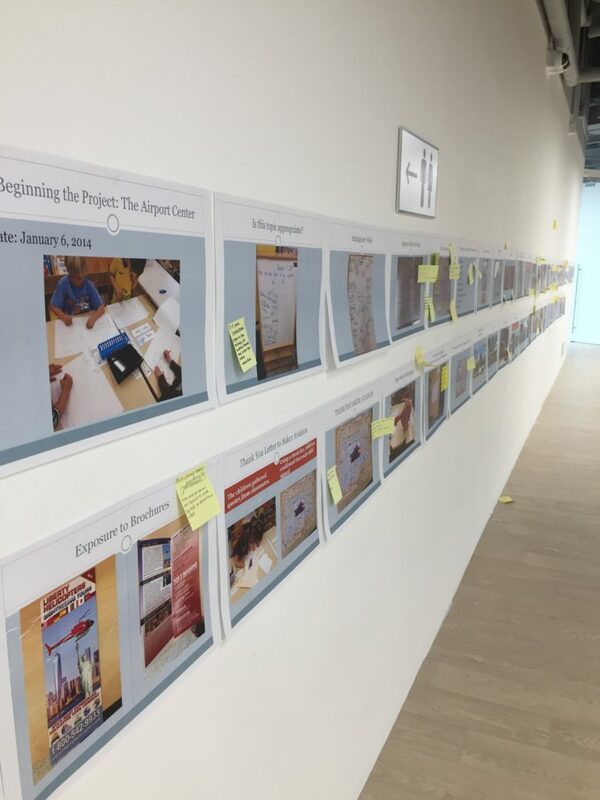 Each workshop will include hands-on interactive components and highlight clear, actionable takeaways. New this year, participants will have an opportunity for ongoing learning or midyear check-in to extend their learning well past the conference is over. Click the link under each session title below to register for individual workshops or use the group form to register multiple teachers together. 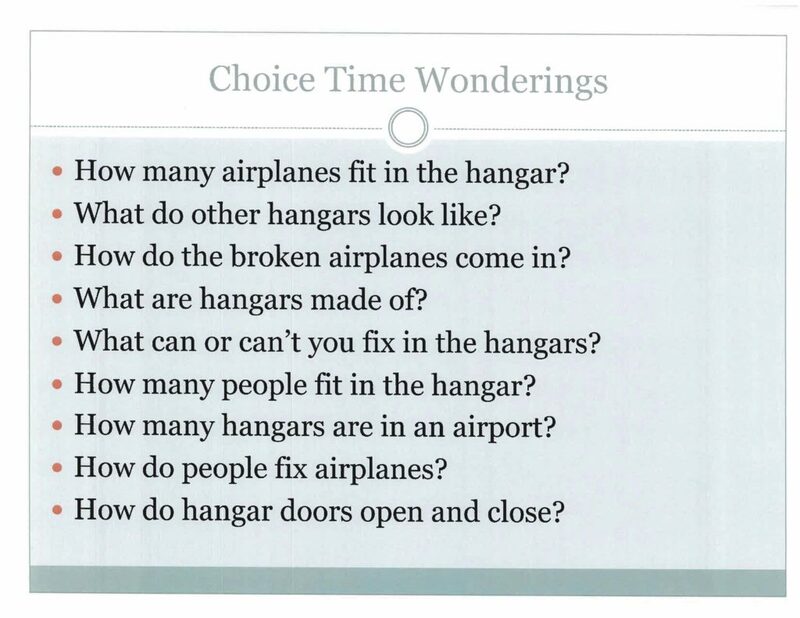 We will have opportunities to work on Choice Time planning templates and also work together on interpreting choice time observations and using these interpretations to plan next steps. There will be time for questions and answers. 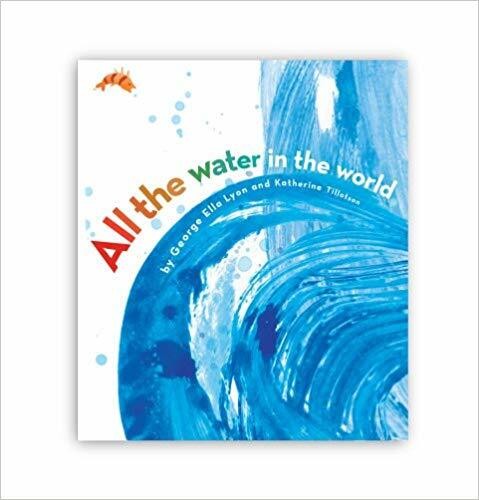 Renée Dinnerstein has over 50 years’ experience as an early childhood educator. 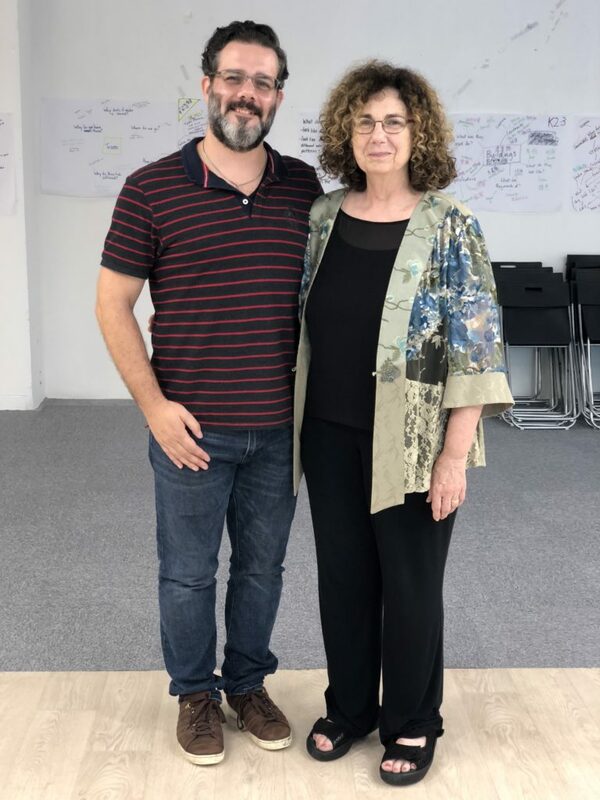 She has taught both in Italy and the US and has spent 18 years as an early childhood teacher at PS 321, one of New York City’s leading elementary schools. She was the teacher-director of the Children’s School early childhood inclusion annex and worked also as an early childhood staff developer in the New York City Department of Education, Division of Instructional Support, where she wrote curriculum, led study groups and summer institutes, and helped write the New York City Prekindergarten Standards. Renée, a past member of the Teachers’ College Reading and Writing Project Early Childhood Reading “think tank,” taught in the project’s summer institutes and presented calendar days for kindergarten and first-grade teachers. She received the Bank Street Early Childhood Educator of the Year Award in 1999. 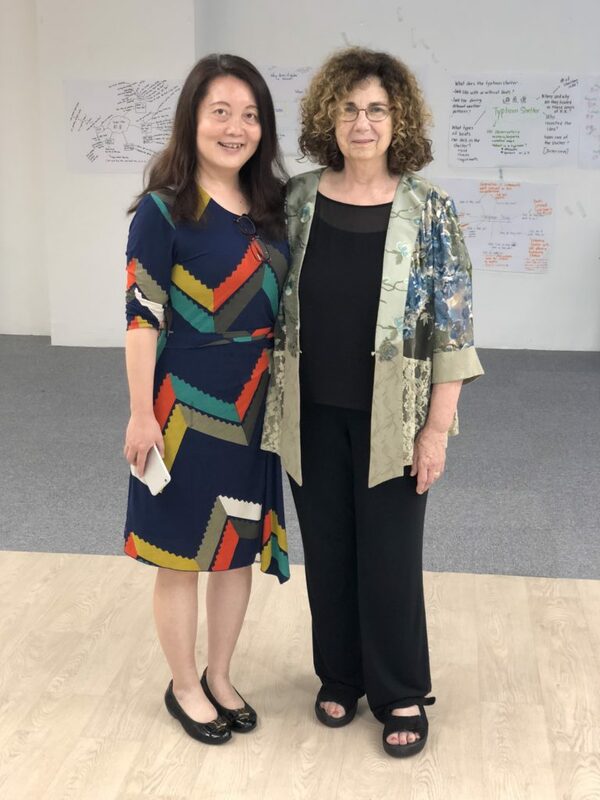 Her book, Choice Time, How to Deepen Learning Through Inquiry and Play (Prekindergarten–Second Grade) was published by Heinemann in August, 2016. 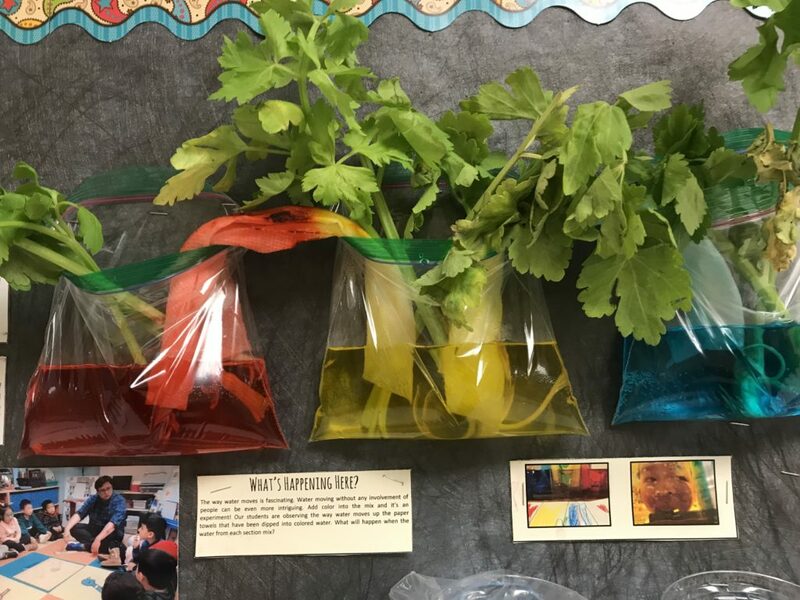 This entry was posted in Investigating Choice Time: Inquiry, Exploration, and Play on June 17, 2018 by Renee. 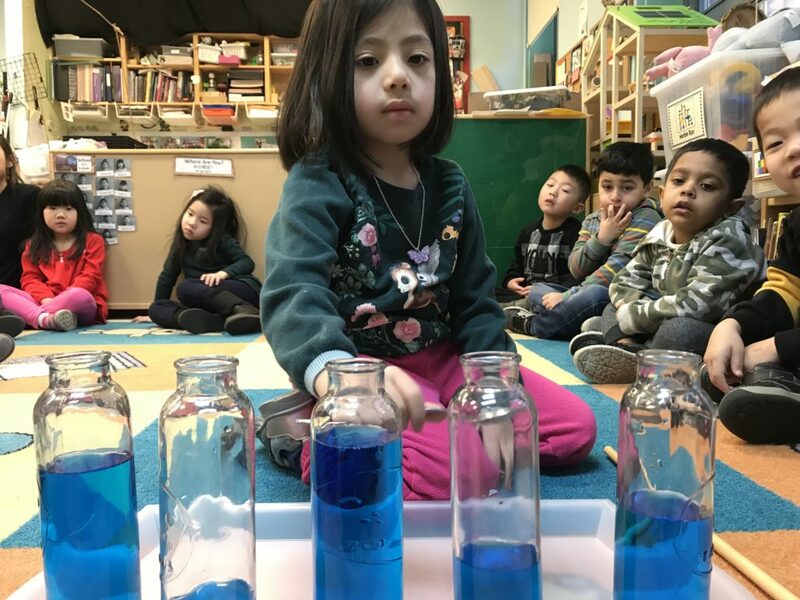 Recently, I was asked if I could create a rubric to help teachers and other educators look critically at Choice Time centers in their classrooms. I didn’t feel entirely comfortable creating a document where teachers used a scale to rate themselves. However, I do think that it might be helpful for teachers and administrators who are new to inquiry-based centers and investigations to have some format for thinking about the why and how of Choice Time centers. 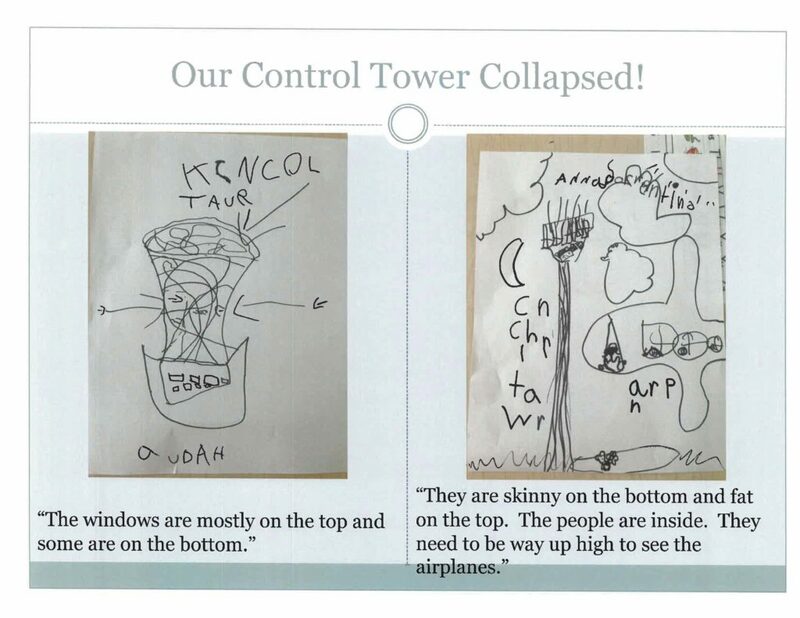 After I finished typing up a “Looking at Choice Time Centers” document, I received two interesting communications. 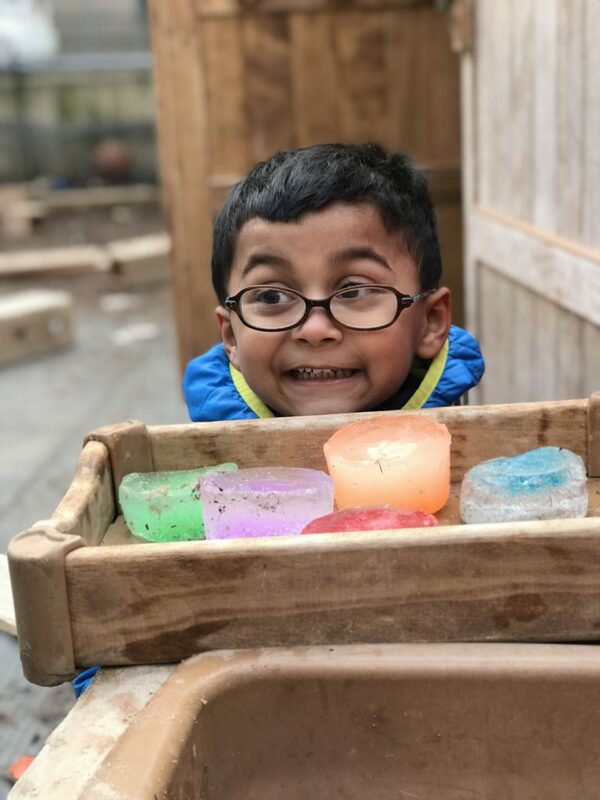 I had shared the document with a kindergarten teacher in Michigan who is very commited to play-based learning so that I might get some helpful ideas and feedback. In her response, she wrote, “About the only thing your missing is a citation for research you used to show that these principles are “research based.” Very soon after that, I received an email from a teacher who asked if I could give her some support in helping families understand the importance of play in her prekindergarten classroom. 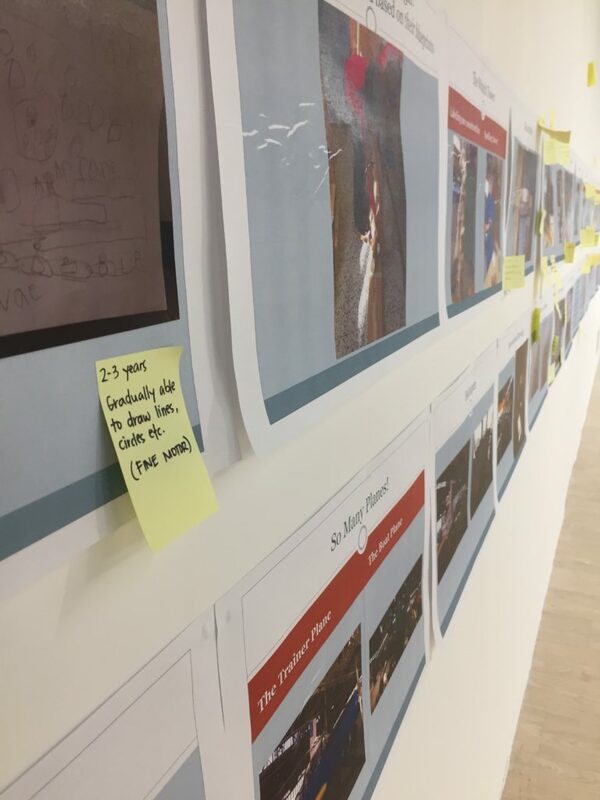 I came to realize that the document needed a reference to the research on the importance of play. I think that it’s important for teachers and administrators to be aware of some of the relevant research on young children and play. 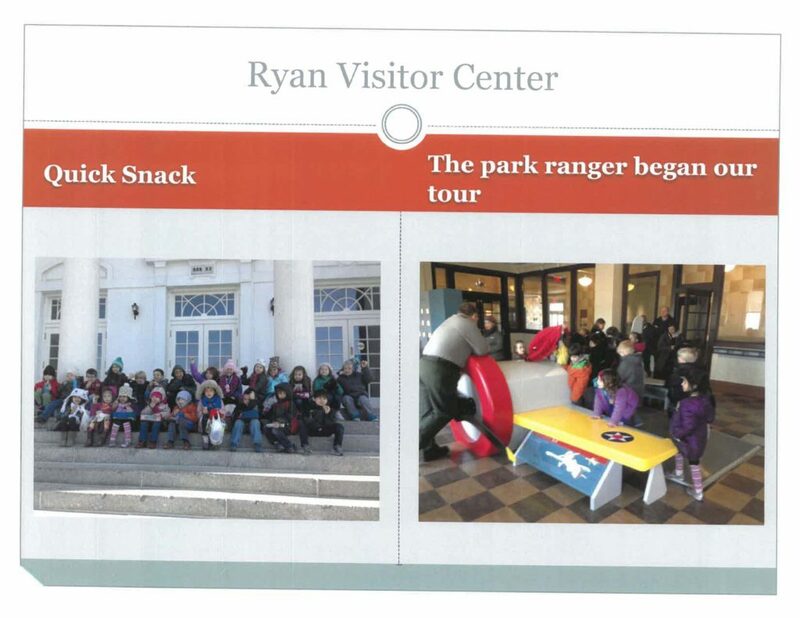 This is information for them to share with families. 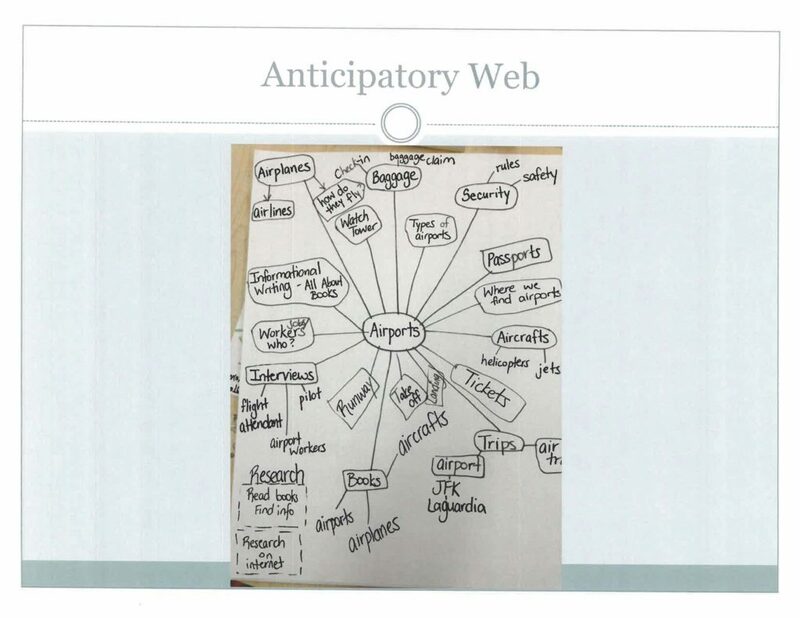 There might be a classroom binder containing a range of articles that parents can borrow. 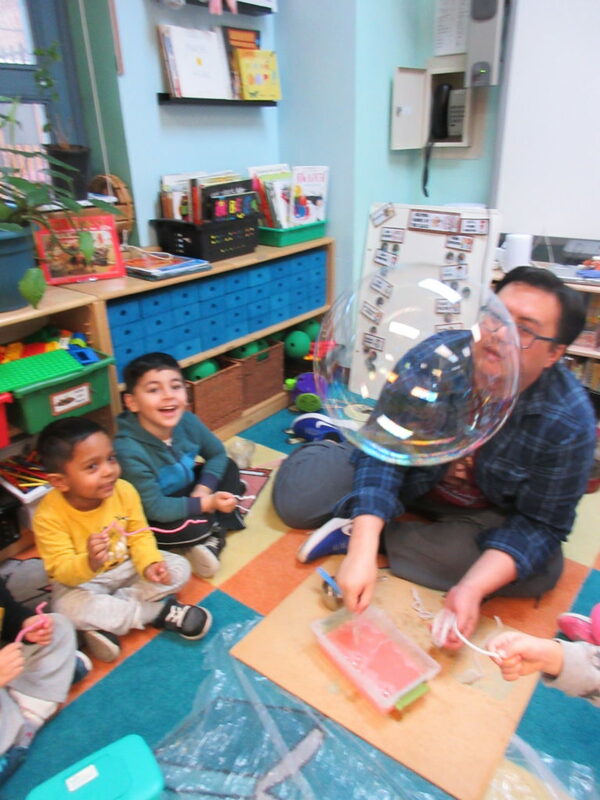 Workshops where parents are invited to experience some of the opportunities for explorations in different centers and also meetings where parents get to hear and question guest speakers might create a community that understands and supports play-based learning. I’ve often said that parents want what is best for their children. 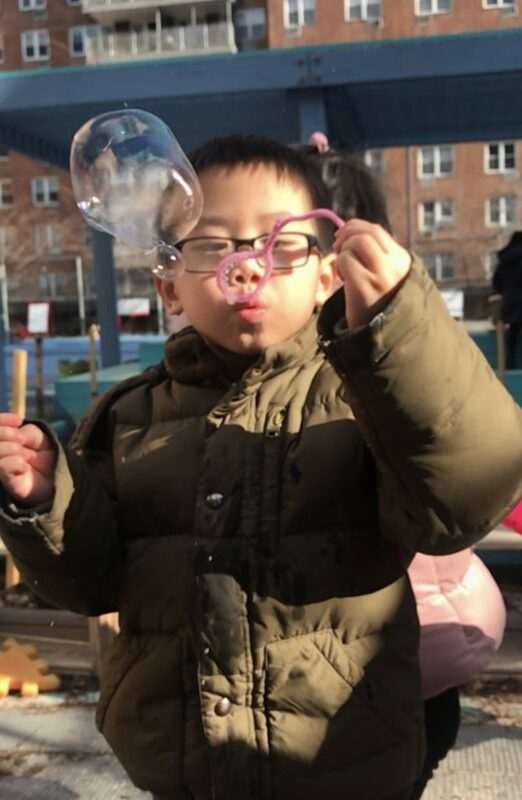 As educators, we should be helping families understand the research and see educators support children’s social, emotional and intellectual growth through their play. Do you have articles or references about the importance of play that can be shared with other teachers and parents on this blog? Wouldn’t it be amazing if we all shared one or two of our favorite articles and then there would be a large menu of references for parents and teachers to choose from? Would you consider sharing with our community of readers? How exciting that would be! Here is the document that I created. Of course just as we are always growing as educators, this document too is a work in progress! Before we look at how centers are set up, introduced and functioning, it’s probably important to personally clarify why we have centers in the first place. 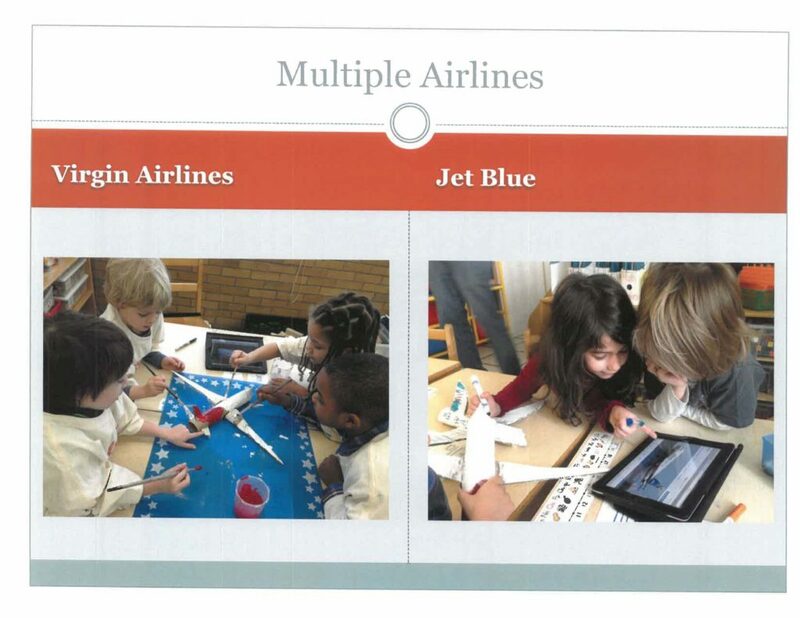 Here are some possible goals that you might have for your Choice Time centers. Focus: We want children to become engaged in activities that will encourage extended focus and commitment. 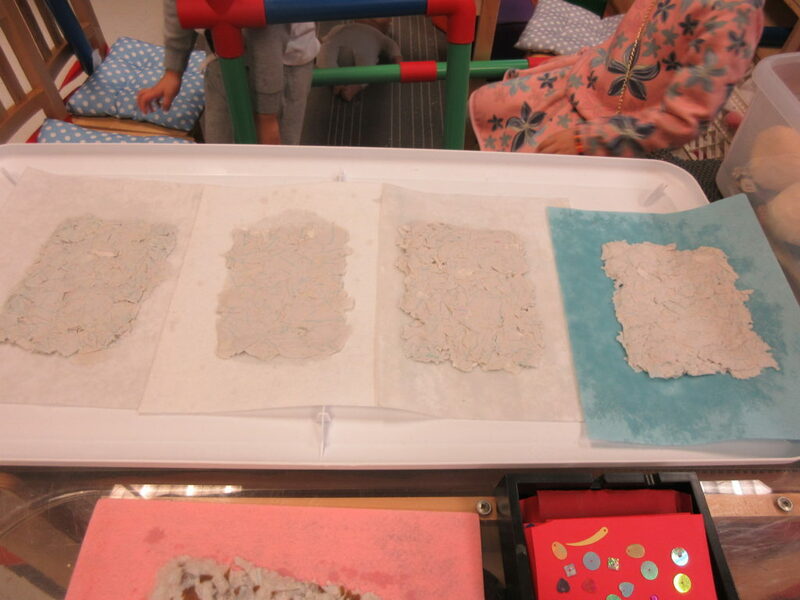 Independence: Children should be able to use materials independently and creatively. Literacy: By providing children with appropriate books, paper and writing implements, they will have opportunities to practice emerging skills such as writing prescriptions in the pretend doctor’s office, making signs and maps in the block center, and drawing observations and diagrams in the science center, using books to research different self-portraits in the art center. Metacognition: We are giving children opportunities to develop greater metacognition. 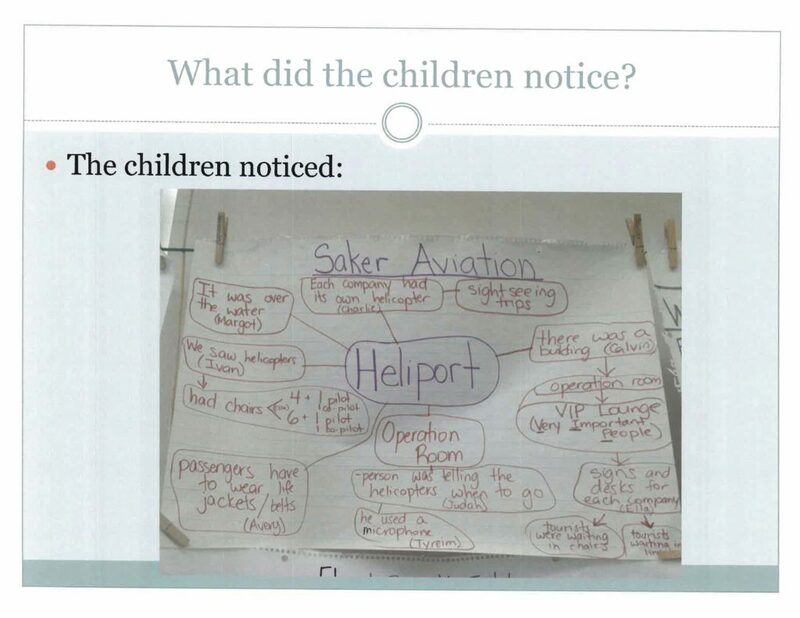 If children were pretending that they were going on an airplane trip, and they were taking on different roles, they would have to consider: What does the pilot do? What should I do when I get on the plane with my baby? Who will be serving the food and drinks? Perception and Play: We give children opportunities to explore their world. 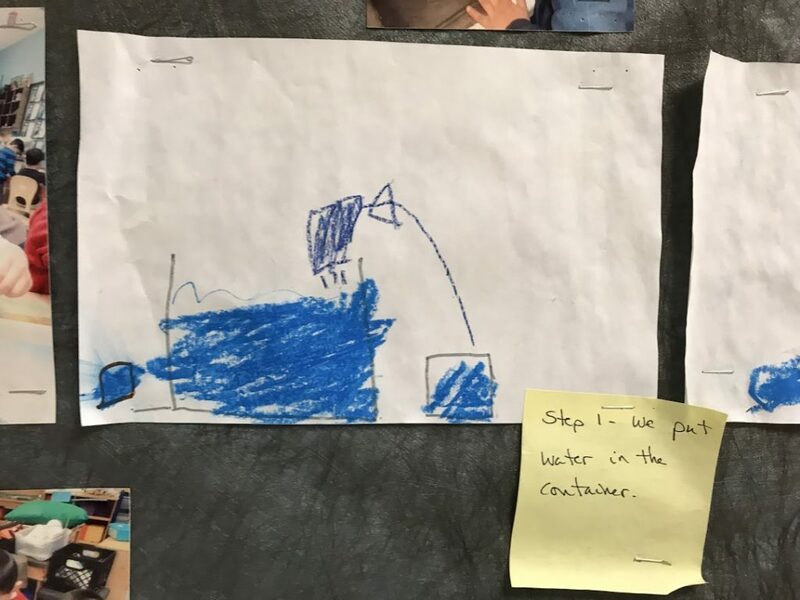 Children might use the experience of a trip to the firehouse to transform their pretend center into a fire station, using their memory of the trip, trip sketches and photographs. Self-Regulation: We want to support children in developing self-regulation such as learning to take turns and to share materials. Children will be sharing in decision-making at centers and will have many opportunities for social interactions that might involve conflict resolution. 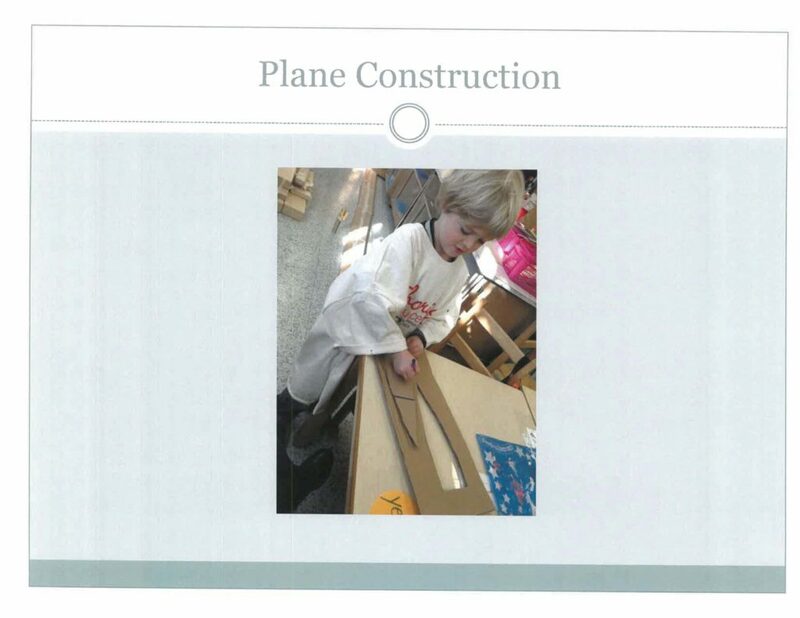 Symbolic Behavior: We will give children opportunities to use symbolic and problem-solving strategies such as figuring out how to use chairs, hollow blocks and paper to create an airplane for dramatic play. 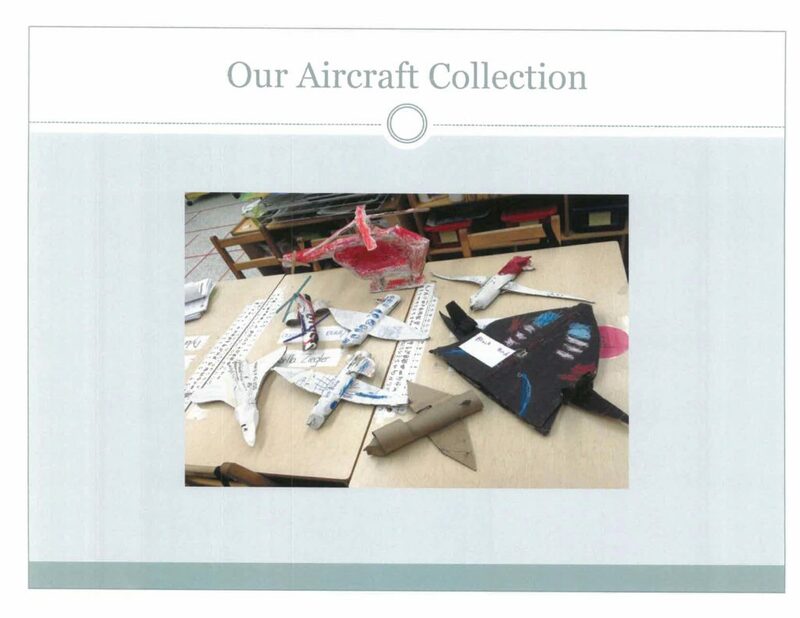 Are there enough, but not too many, materials in the center to appeal to children with different interests and abilities? Are the materials appropriate for the explorations being done at a center? 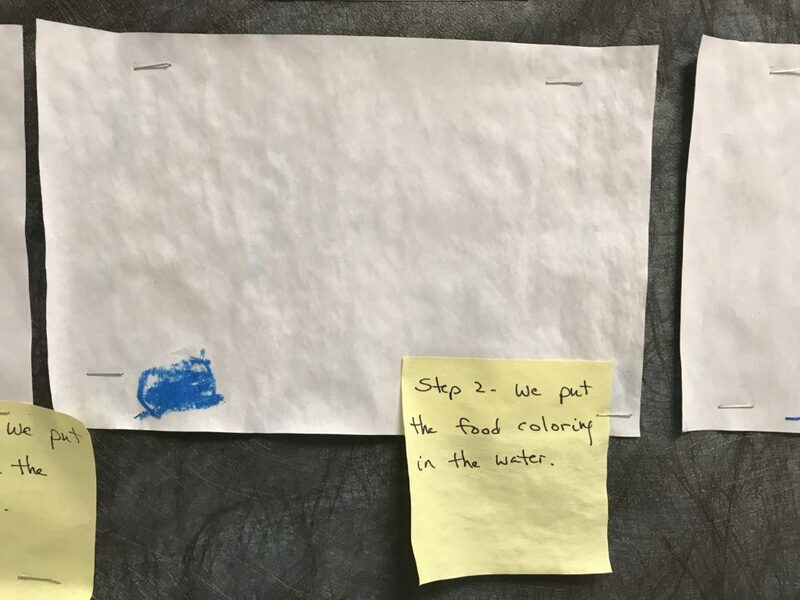 For example, if children were being encouraged to carefully observe and draw a snail in the science center, then crayons would be an inappropriate writing implement to use for this activity. If you would like children to begin exploring how to create various lines and colors in the art center, markers would be an inappropriate material to include at this center because the potential for exploration with this writing and drawing implement is limited. Do children have enough time for exploration? 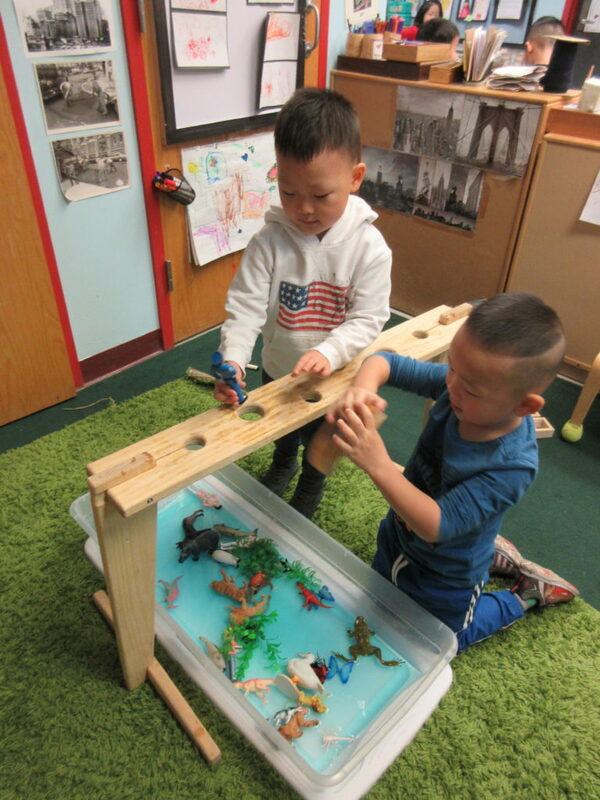 Sometimes children need time to “mess around” with materials at a center before becoming engaged and focused. 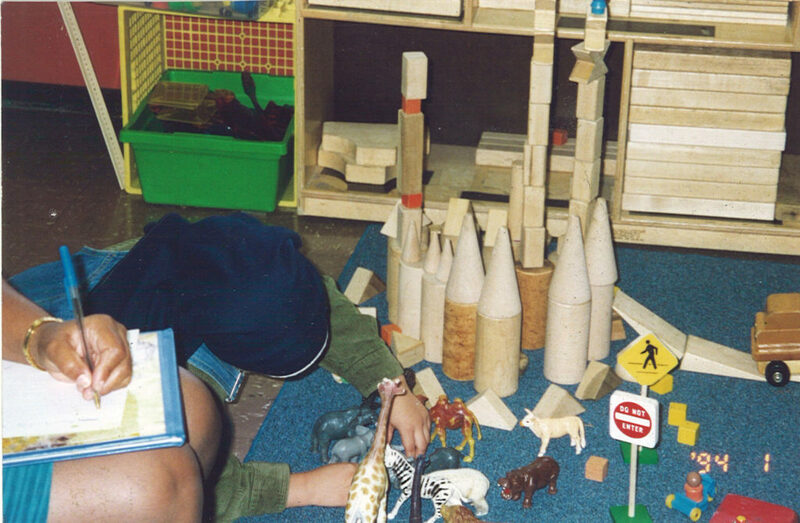 Once children become engaged and self-directed, they need enough time for their explorations. Some teachers have children move to a new center after ten or twenty minutes. Children should never be required to rotate from one center to the other during a Choice Time period. This rotation defeats our goal of supporting focus and engagement. Do children get to choose where they will be playing? Are there enough choices of centers available so that children are not “stuck” with a center that doesn’t engage him/her? 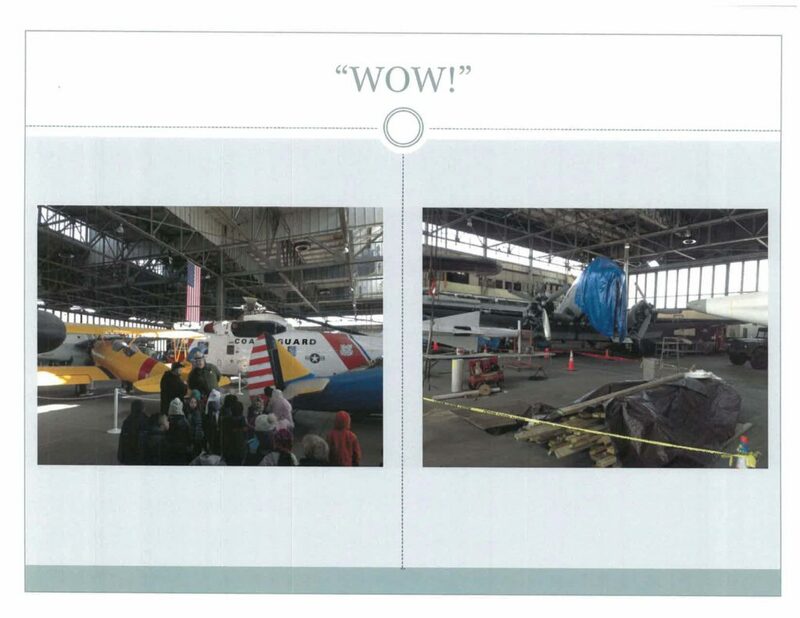 Are children’s suggestions for new centers discussed and, if appropriate, honored? 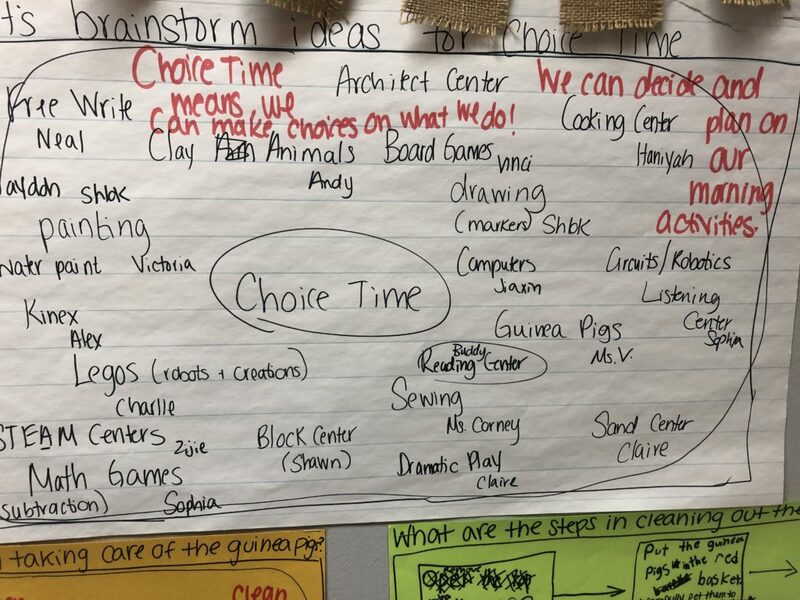 Is there a consistent, predictable structure for Choice Time, such as a short pre-center discussion, extended time at centers, clean up and a share meeting? 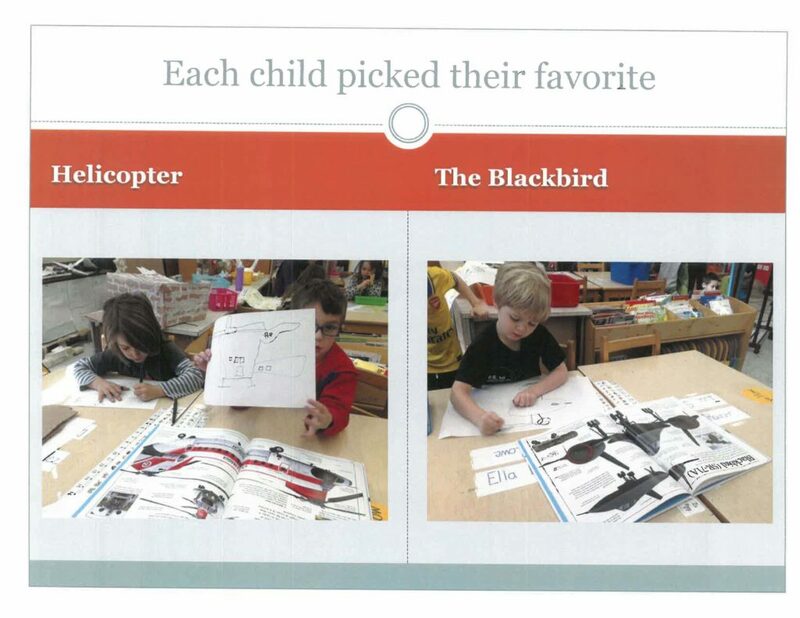 Is there a chart that shows all of the choices available, with pictures and labels, so children can see what centers they can choose from? Is there a consistent, not random, method of calling on children to make choices? 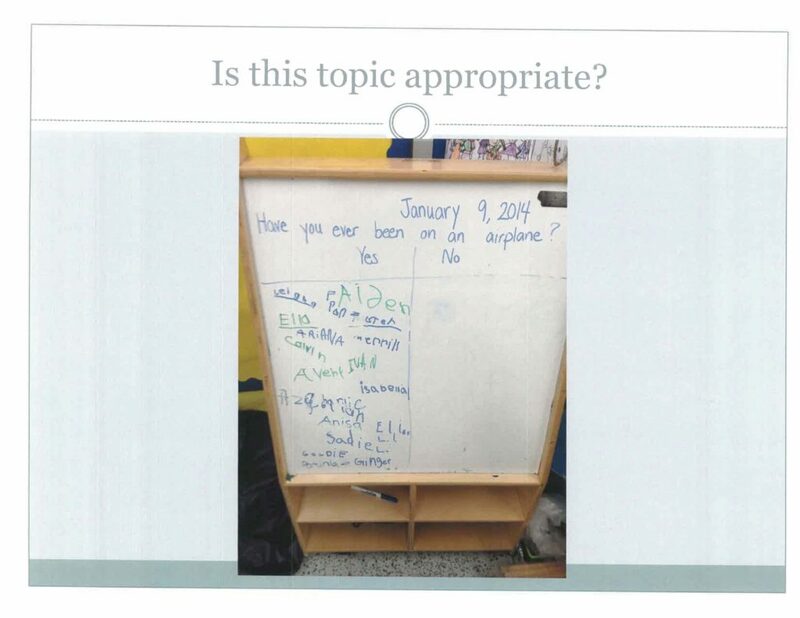 One idea is to have a list of students on a chart and have a paper clip that is lowered on the chart to a new name each day. Are clean-up routines clear and consistent? Is the allotted space appropriate for each center? 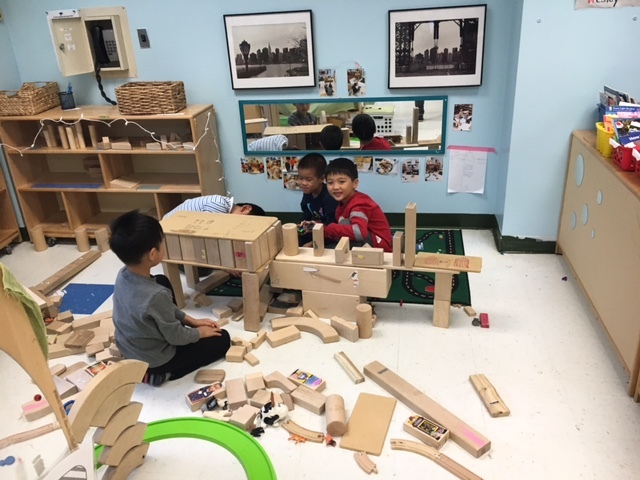 Blocks and Dramatic Play need a great deal of space. Science needs a smaller space. Art needs enough table space so that children can work on big projects. Remember that space for centers should be fluid and will probably change over the course of the year. Some centers might not need much space at the start of the year but at some point in the year will need more space. There might be new centers added and centers taken away either temporarily or permanently. Follow the lead of the children and their play patterns. Choice Time observations are qualitative. 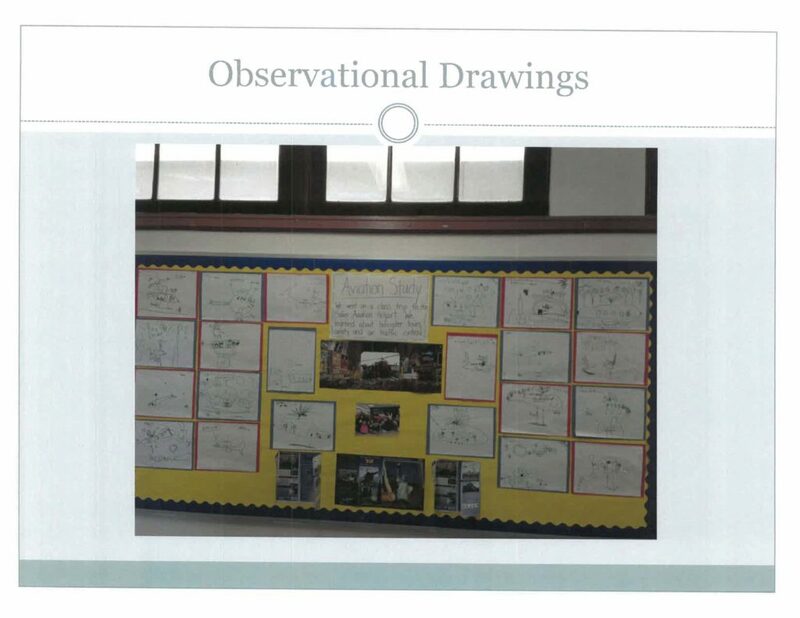 Observations can inform future work in a particular center. They also can focus on what children are accomplishing at a center. 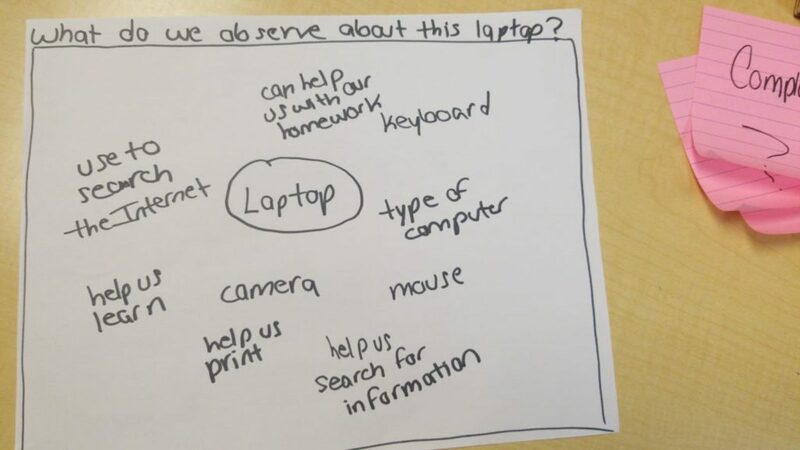 It helps to do an observation with a question in mind. Your initial observation notes should be value-free. Only write what you see. Transcripts are helpful. Later in the day you can reread your observations and record your reflections. Think of what you’re learning about the center or the interactions of the children at the center? You can then use this information to plan your next instructional steps. 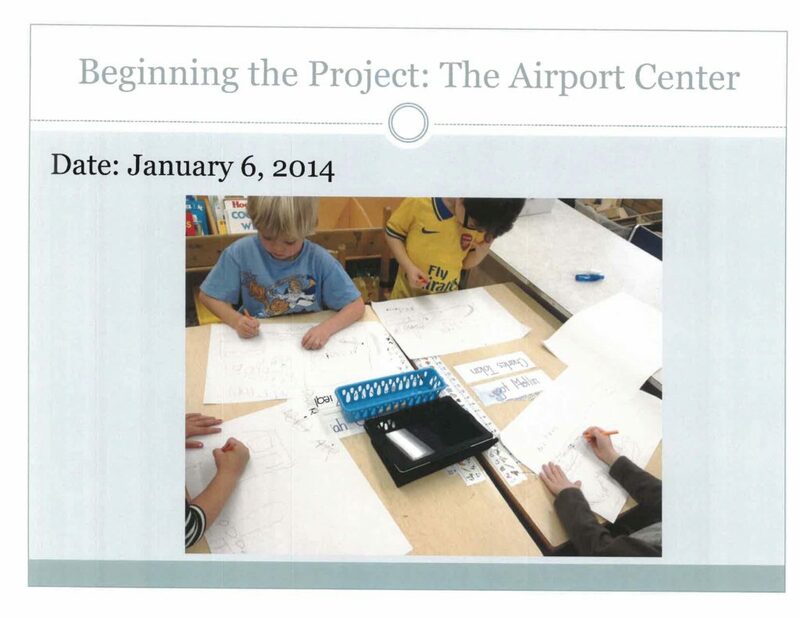 It might mean introducing new, challenging provocations to the center. Your next instructional steps will be based on your initial observations and your reflections. 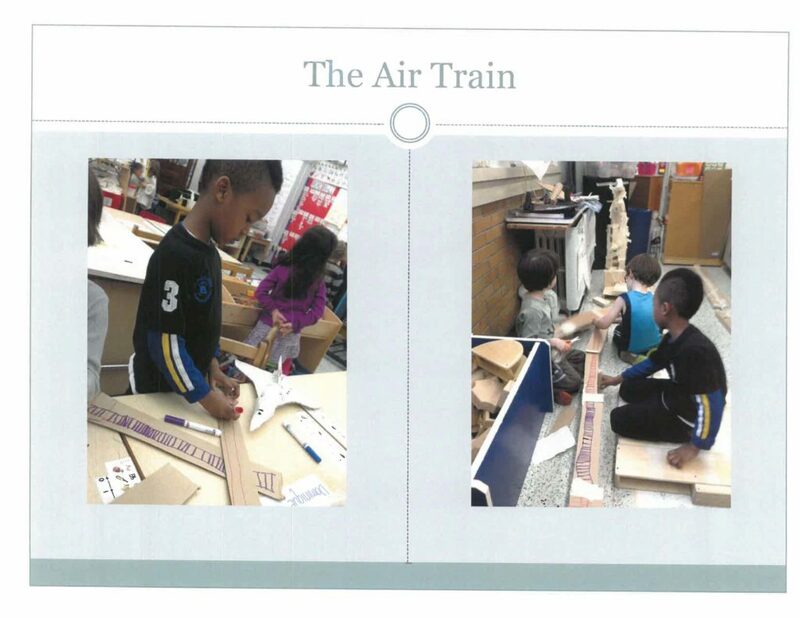 This entry was posted in Investigating Choice Time: Inquiry, Exploration, and Play and tagged ” policy statement of the Alliance for Childhood (2003), Alliance for Childhood, Almon and Miller. ), Children from Birth to Five: Academics Versus Play, Crisis in the Kindergarten: Why Children Need Play in School”, The Im. on May 13, 2018 by Renee. In 1976 my husband and I, along with our 4-year-old daughter and 12-year-old dog, moved to Rome, Italy. Our stay, courtesy of the American Academy in Rome, was originally to be for one year but, happily, it lasted almost three years. We enrolled Simone, my daughter, in a wonderful Montessori School. 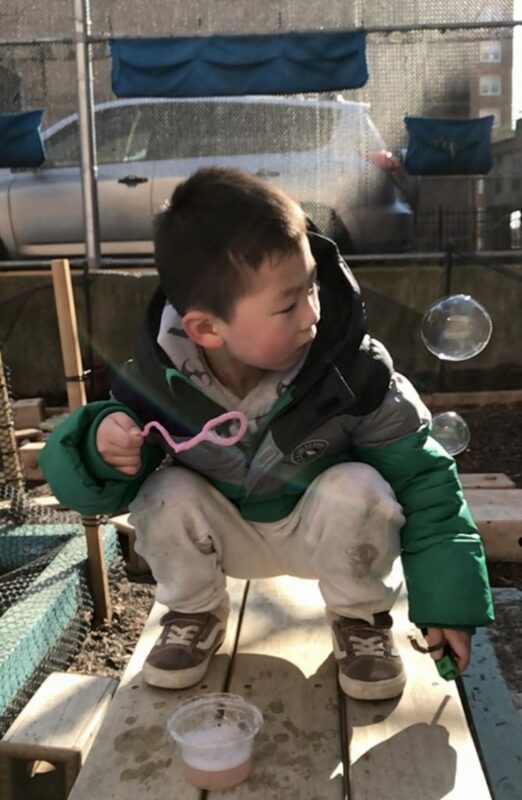 Lemon and olive trees were sprinkled about the garden, sunlight poured into classrooms, and an abundance of play, investigations and singing filled each day. Alas, then the year was over and we had to look for a kindergarten. The school only went through pre-k. Simone started reading quite fluently when she was four years old but she mainly got her joy from running, climbing in the schoolyard, taking part in class impromptu dramas such as a wonderful free-spirited production of the Bremen Town Musicians, and singing, singing, singing. This was a tough act to follow and we came up with no new possibilities. 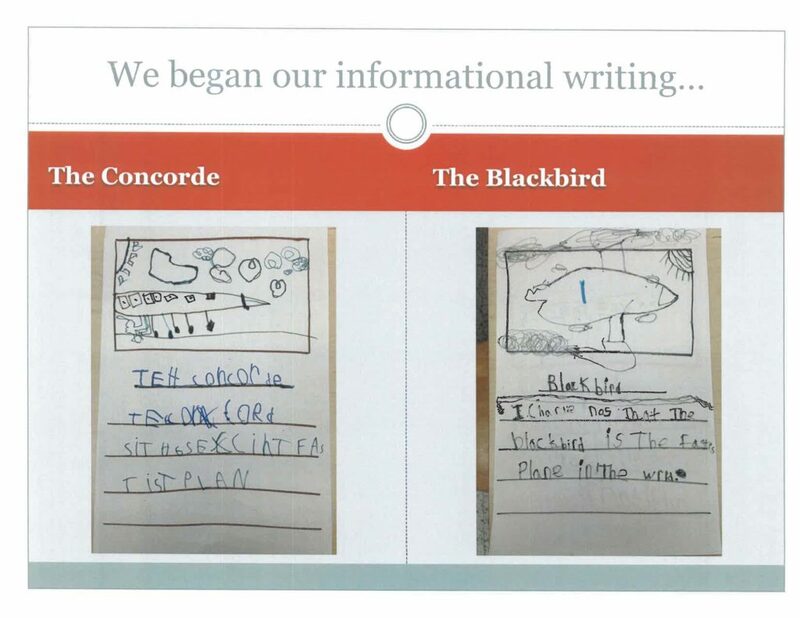 The various schools that we visited (and we went to many including the local state school) had rigid, unimaginative, workbook-filled days for five-year olds. We didn’t know what to do. Out of desperation, we reached out to the director of the Montessori School and entreated her to allow Simone another year in the school. After much discussion, she agreed. 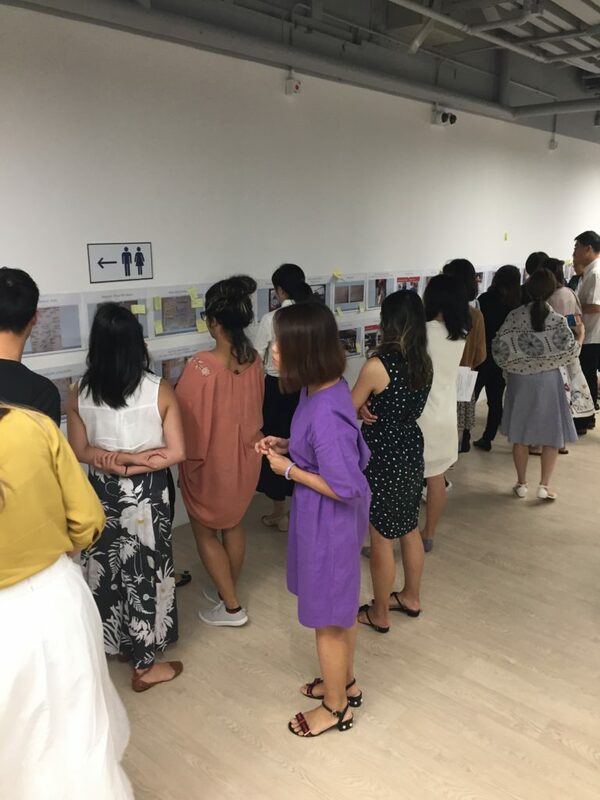 When other parents of kindergarten-age children, heard about our decision, they too decided to keep their children in the school. It all worked out perfectly. Or so we thought. After the first week of the next school year Simone, with tears trickling down her face, sadly told us that she didn’t like school anymore. We wondered if we made the wrong decision but we asked her to explain why she no longer liked going to school. “It’s boring. Too much work.” Hmm, what was going on? I went back to the school to speak with her teachers and discovered that they were giving her “schoolwork” to do each day. 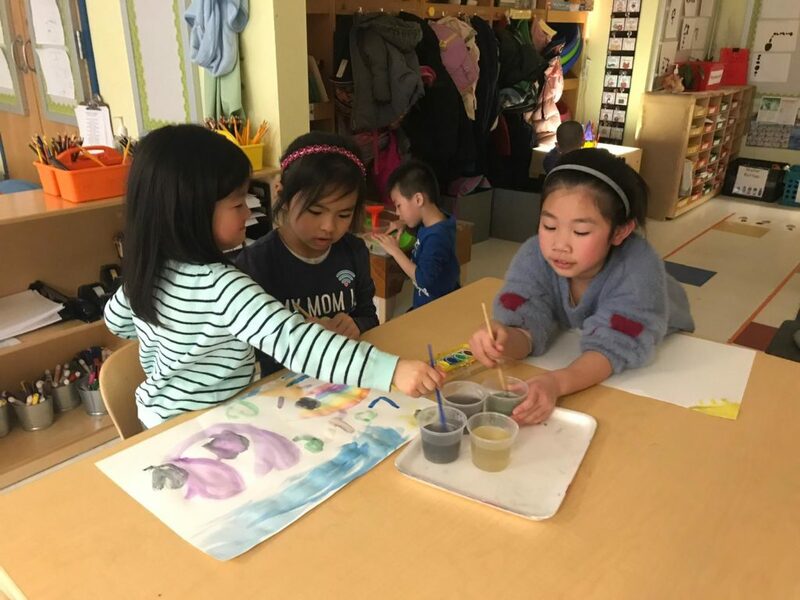 While the other children were happily splashing about at the water table or painting murals in the art studio, she was sitting alone with paper and pencil, filling in worksheets. The teachers, to their defense, thought that they needed to challenge Simone with academic work because she was already reading and writing, We told them that we were not interested in her doing “school work” and that we would like her to spend her days with all of the other children. The problem was solved. 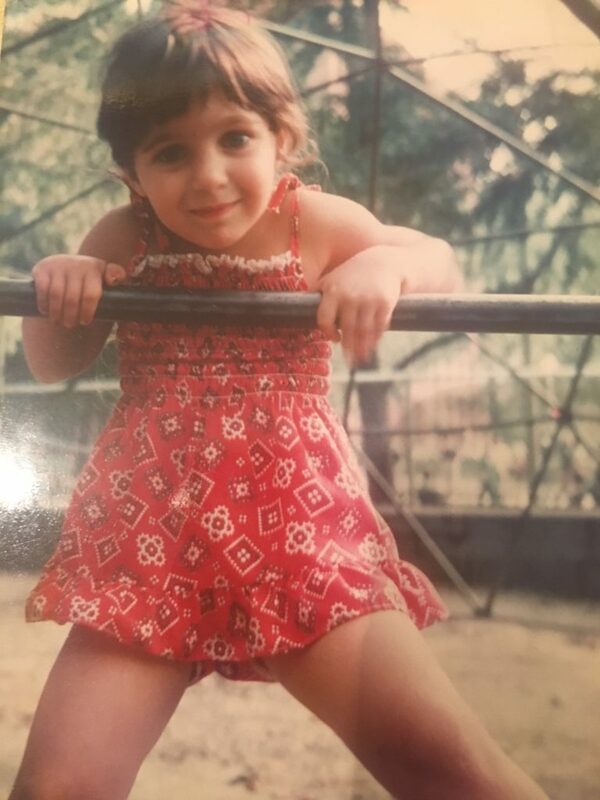 Simone was once more a happy, bubbly, curious and creative five year old. 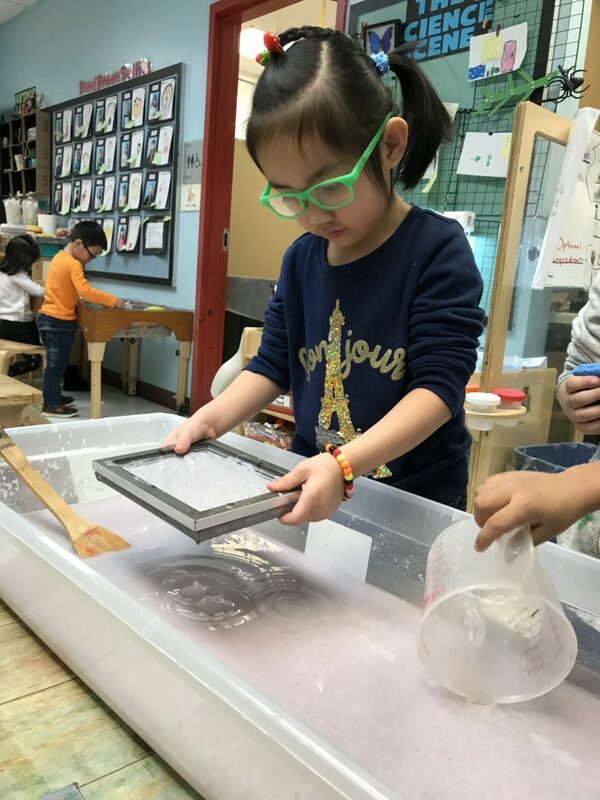 Now I sadly think about all of the many kindergarten children who are having the joy of learning through play and exploration drained from their school experiences. From the #EarlyEd front lines: Now is the time to share our stories. Now is the time to reclaim our voices as experts. 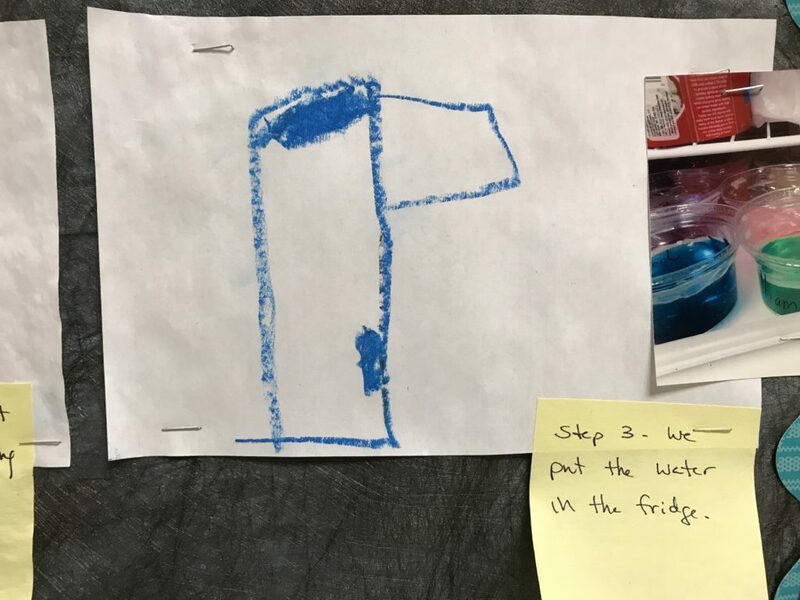 This entry was posted in Investigating Choice Time: Inquiry, Exploration, and Play on May 8, 2018 by Renee. 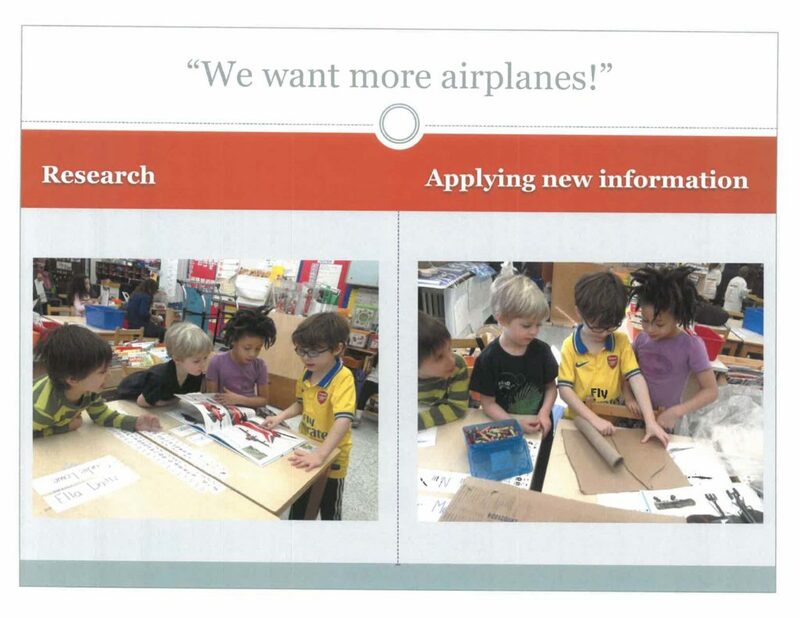 It is not unusual to overhear observations such as “ kindergarten looks like the new first or second grade” or “What happened to play in kindergarten?” In a growing number of schools across the country we haven’t moved past these observations to take action. So what does this all have to do with the boycotting of high-stakes standardized tests? 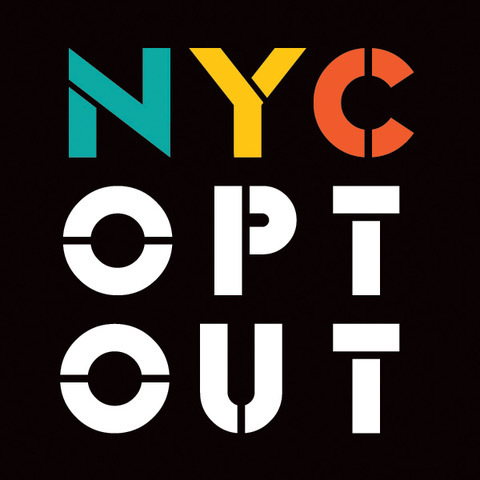 And why should parents and teachers support what is now well known as the Opt Out movement? 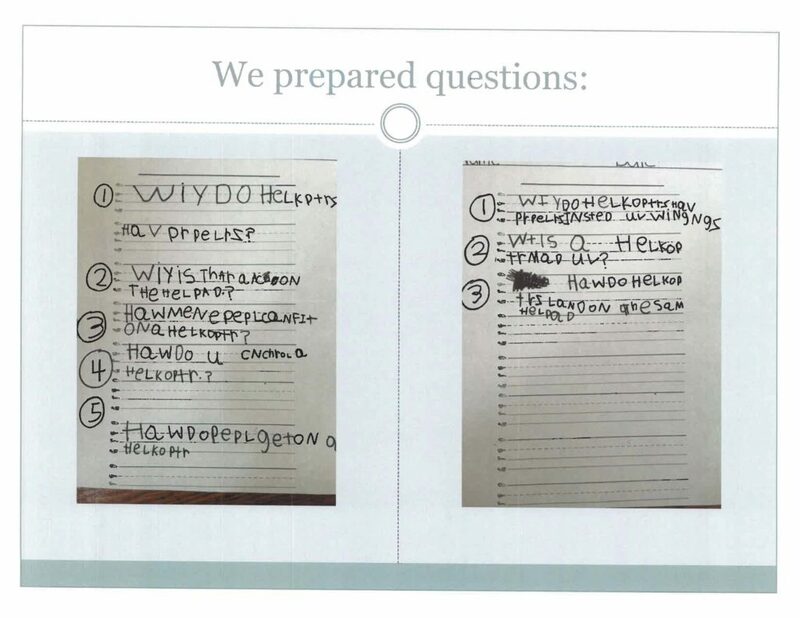 The assessments that third, fourth and fifth graders are subjected to each year are more about crunching data and less about helping children become stronger, inquisitive and active learners. Teachers usually do not see the results of the tests until it is too late for any information to be helpful for instruction. The exams seem to be designed in ways that do not relate to what children in each grade need to learn. Because there is so much pressure for schools to reach high test score numbers, much class time is spent in teaching to the test. 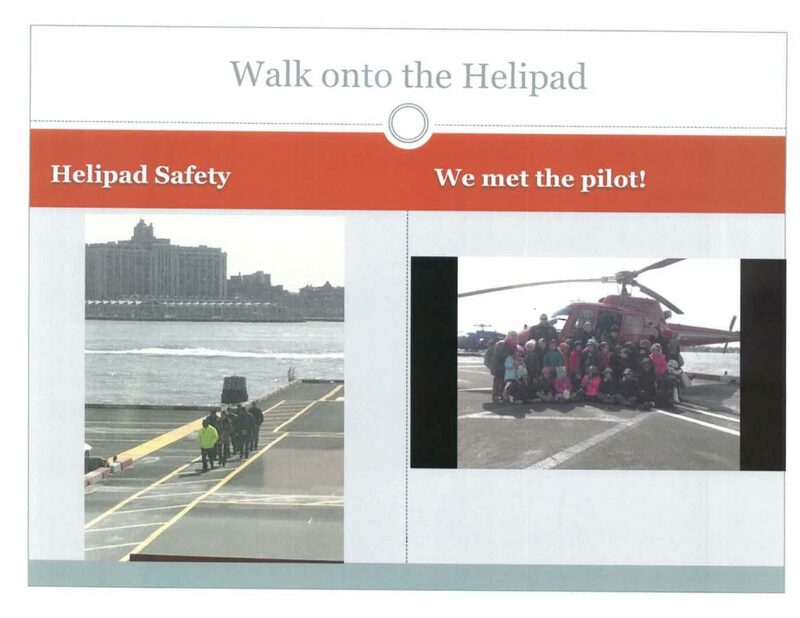 What does this have to do with kindergarten? Five year olds don’t (yet!) take these tests. 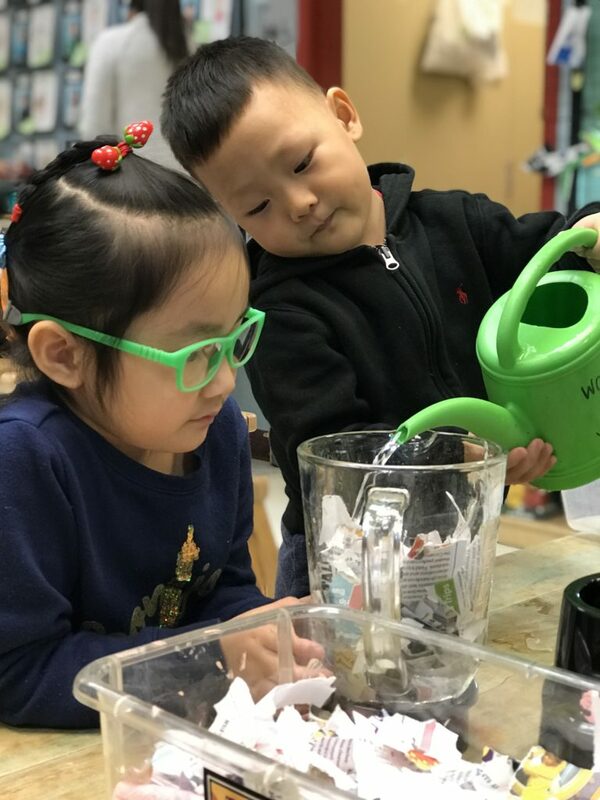 Alhough research shows that young children learn through play, not through early academic pressure, administrators, pressured by the demands of standards-based accountability, impose inappropriate curricula that early childhood teachers must implement. 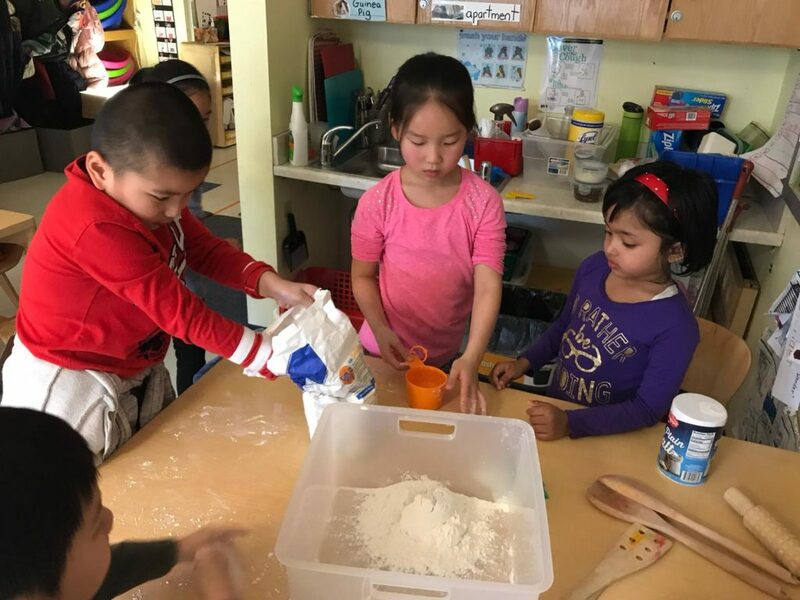 Young, new teachers, many of whom have not experienced play-based learning themselves, are often at a loss, caught between early childhood’s solid research base and expectations. Long-term research casts doubt on the assumption that starting earlier on the teaching of phonics and other discrete skills leads to better results. For example, most of the play-based kindergartens in Germany were changed into centers for cognitive achievement during a wave of educational “reform” in the 1970s. 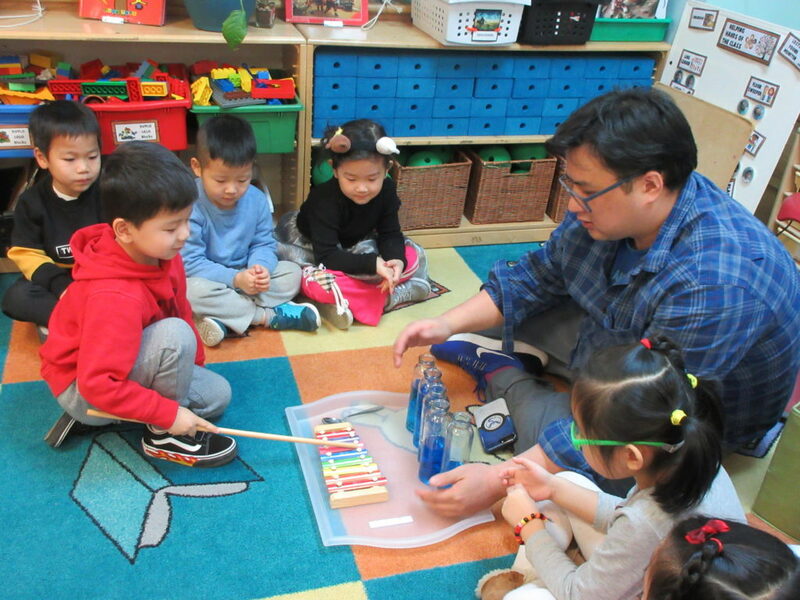 But research comparing 50 play-based classes with 50 early-learning centers found that by age ten the children who had played in kindergarten excelled over the others in a host of ways. They were more advanced in reading and mathematics and they were better adjusted socially and emotionally in school. 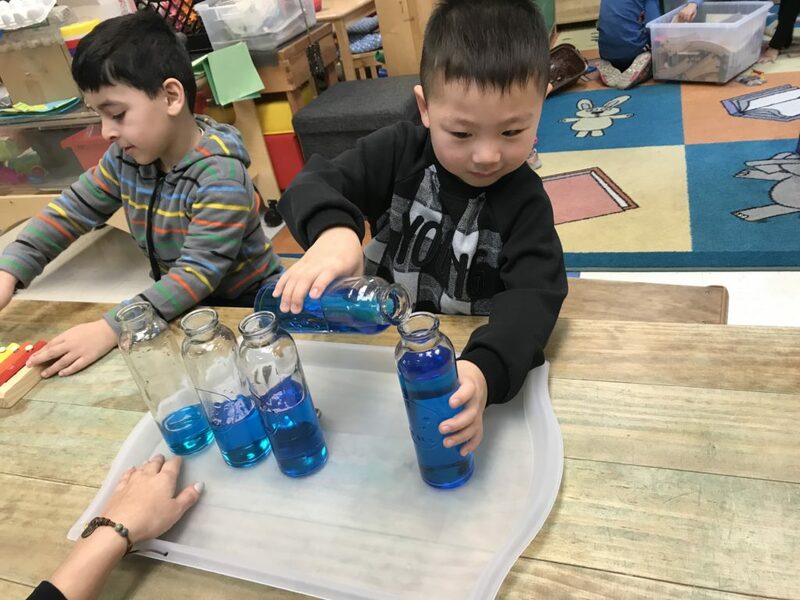 They excelled in creativity and intelligence, oral expression, and “industry.” As a result of this study German kindergartens returned to being play-based again. In the United States, however, evidence seems to be thrown out the window or ignored and kindergartens continue to eliminate most , if not all, opportunities for children to play. 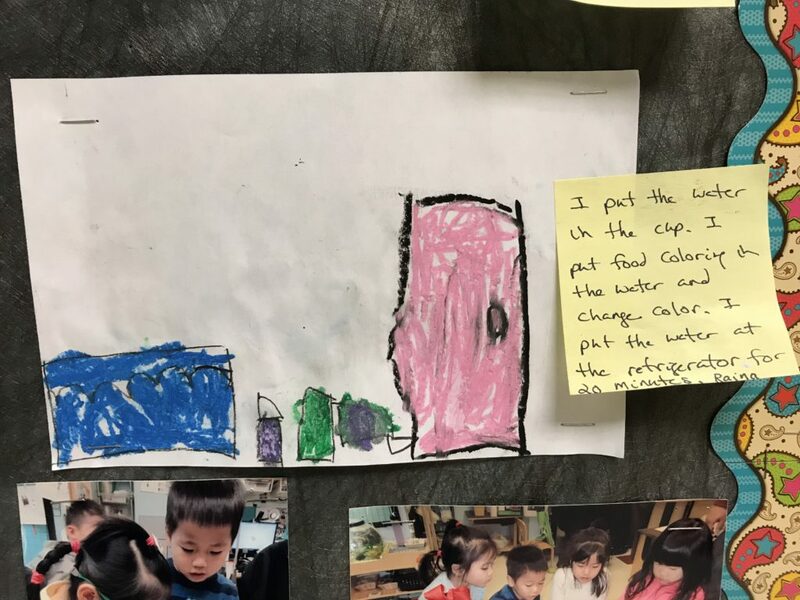 Recently, as I was walking down the hallway of a New York City public school, I passed a kindergarten class with this weekly schedule posted on the door of the classroom. I wondered if this school day for five- year old children, like the one shown in this schedule, was becoming more common throughout the city. I’ve often seen similiar schedules where children get “free play” or “Choice Time” for a half-hour at the end of the day. Why aren’t educators and parents connecting the dots between a grueling school day in kindergarten and the increase in diagnoses of ADHD (Attention Deficit Hyperactivity Disorder)? 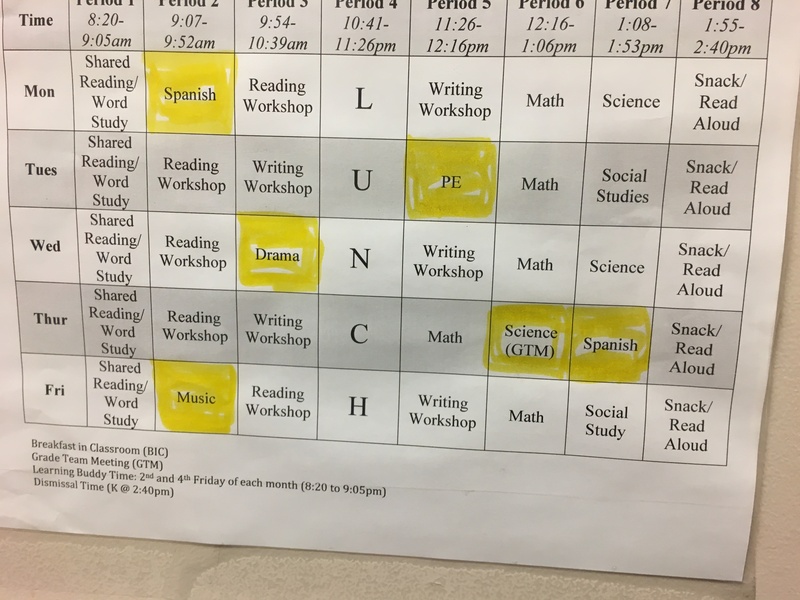 Isn’t it obvious that this schedule and others like it are so closely connected to the hysteria over high test scores and the pressure to meet the Common Core Standards? Isn’t it obvious why all parents, not those only of third through fifth grade students, should be vocally supporting the Opt Out movement? If we, parents, grandparents and educators, do not speak up and put pressure on politicians and high-up powers in the education department, then it certainly will be our children who suffer. 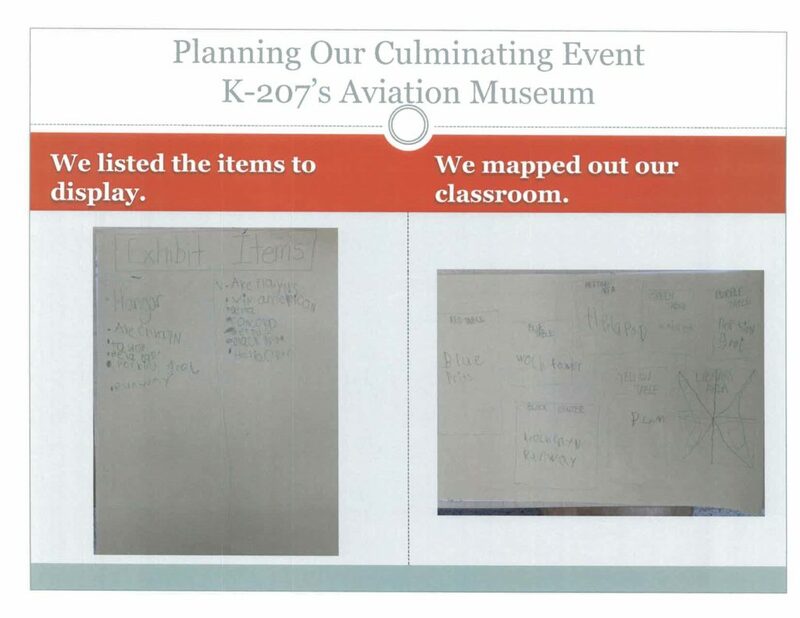 This entry was posted in Investigating Choice Time: Inquiry, Exploration, and Play and tagged kindergarten, Opt Out, standardized tests, weekly schedules on April 16, 2018 by Renee. Here’s some information about a wonderful early childhood conference that will be held in Albany, NY this April 30. Anna Allanbrook, the inspiring principal of the Brooklyn New School will give the keynote address and some of the teachers from her school will be presenting workshops. It sounds like it will be a day not to be missed! If you’re anywhere on the east coast, don’t miss this wonderful opportunity ! 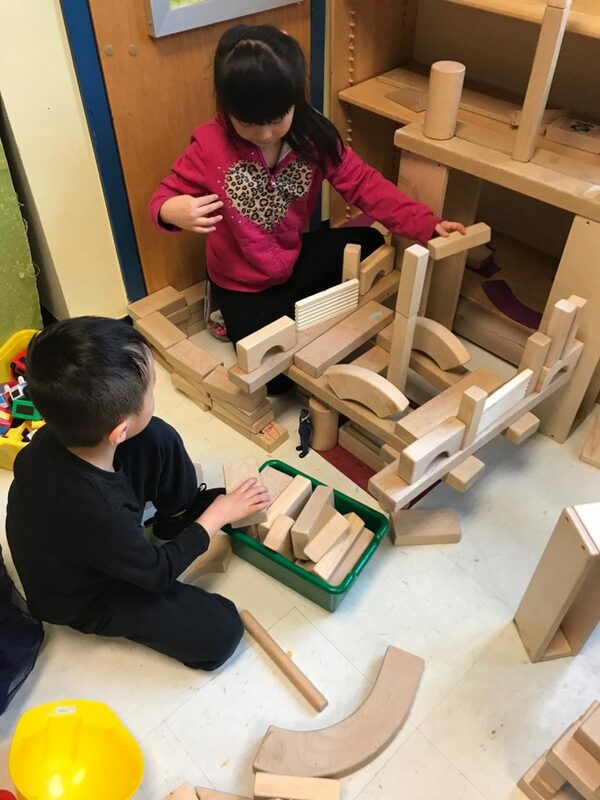 This entry was posted in Investigating Choice Time: Inquiry, Exploration, and Play on March 27, 2018 by Renee.